It can be a bit confusing when we try to understand how we may live into what we call a simulated reality. But let me give you some points for you to have a better understanding of the simulation of reality and the three ways to hack the system. I'm going to be sharing with you three ways to understand that we may be living in a simulation. I'm going to show you ways of getting around some of the things that may hold us back and how we can use certain perspectives to our advantage as well as discuss the three ways that you can use to hack the system of understanding how we may live into what we call a simulated reality, and this has to do with a little bit of a comment that Elon Musk has made. That then kind of sparked my curiosity and then I started to study this, which is actually there's physics coming out that's showing that there's something called a big theory of everything, which is an explanation for how all of reality works. Whereas a lot of times we get science that shows how a part of reality works. Then maybe the study of biology, the study of something else to study of something else and people can look at it and they go, oh, this is some of the commonalities. This is some of the patterns, but how everything works together is often something that's not pieced together. However, with this understanding of living in a simulated type reality, this explains everything from a certain perspective. First off, I've explained this story before, but I'm going to give it just a little bit of a basis, so in case you haven't seen my other videos on it or haven’t read some of my blogs, you kind of understand a simulated reality. This is something I find to be very, not just curious, like something I'm curious about. Something very empowering because what it implies is that we are much more than we can possibly imagine and in a way, I believe that life is a form of game. Life is a form of dream that we're dreaming we're having, right? Like I'm in a higher level of consciousness. I believe that we are all asleep dreaming that we are here, projecting ourselves here. The thing is this reality has a certain level of continuity. What we're like yesterday, I did this and tomorrow I will do this, so therefore we create this experience of a consistent dream which then to us makes us perceive and say, wow, this is very real, but in reality I think we are so much more than we can possibly imagine and we're dreaming that were here. We're just dreaming a long, consistent dream that appears to be something that is very real. We have our senses. Our senses are interpreters of vibration, so I can go over and touch the pillow, go, Whoa, this has a lot of. This says a lot of sensation. This must be real, but what is real? Because all that is an interpretation of vibration. 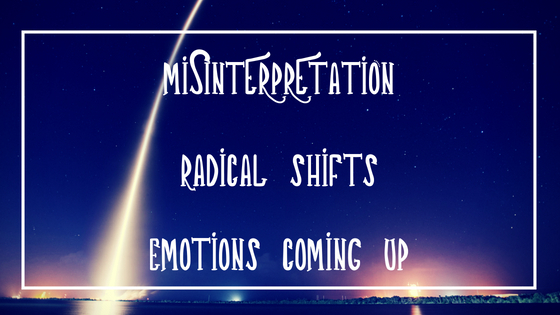 We can smell, touch, taste, hear, see, all of these things are interpretations of vibration. They are way for information. Everything in our life that we experienced at a certain level is information. It is a meaning that we put in our mind or there's a neutrality in our mind about it, but nonetheless, it's a way that we digested data. We could think of it like that and it's easy to understand from the. It's easier to understand from the perspective of a computer because the computer can be an analogy, but I don't think it's like we live in a computer. I think that that's just the analogy symbol that we use in our reality. I think that it works in a similar way. I believe that we are just in a way kind of in a virtual reality. Now, what Elon Musk said is that he said that this reality that we experienced, the chances of it being the baseline reality, like it being the real reality, he says he thinks that that is less than a percentage of a percentage. For example, now we got the iPhone and get this cool stuff. But imagine you got like a brick phone, like one of those big phones that used to talk and uh, in the eighties if you around them, you know, like it's ancient compared to what we have now. Now in the same way, if this is already the case where the brain doesn't know the difference between what's experiencing to what is actually happening, imagine in five or 10 years where the technology is going to be. We're not even going to know the difference between what is reality and what is not reality. Now, knowing that this is a potential within our own life right now, what's to not say that at a higher level of consciousness we may exist. We may project ourselves into this reality for a certain purpose. Now, look at that purpose be. I think the purpose could be to learn. There's something as frustrating as it may be to have things kind of slower here. I think that in the higher levels of consciousness, things happen very quickly. It just like in a dream state, higher level of consciousness. When you're in a dream state, things happen on. You can think of something almost immediately happens. We can only understand that which our brain understands. You know what I mean? It's not like the we can understand something that's beyond that of the dimension of time and space within. We live in, you know, so this is about understanding the possibility that maybe we live in more of a simulation. We're dreaming that we're here right now and that because we're dreaming, we're here right now. There's a certain kind of experiences we can have now. One of the most powerful things we do is we realized there's a correlation between what we are thinking in what we are experiencing. This is called sometimes the Law of Attraction, deliberate focus. When we focus, we can then experience more of what we want and this is because there's certain what are called rule sets of reality. There are certain rule sets for the how things work in our life. These rule sets are like laws like the law of gravity. We've agreed to have this kind of collective dream together and part of the collective dream is we're going to have this thing called gravity that keeps us all on the planet so that we don't fly away. There are the rule sets such as the Law of Attraction or whatever. We focus on grows. Whatever is like onto itself is drawn more of. Then we noticed that and we're like, okay, well if I think negative thoughts, I feel separated. If I feel positive thoughts, if I think positive thoughts, I feel more connected. So these are different aspects of certain rule sets we may have. There may be rule sets about the way cosmology works, about the way our reality works, and part of this is becoming aware of the correlation between what we think and what we experienced. So that's my spiel as to the simulated universe we may live in. We may be dreaming that we here, we're here. We may be immoral, spiritual beings having a temporary human experiences for certain purposes because here things go up in a little bit slower and higher dimensions. Things happen very quickly, so it's almost like instantaneously, but here you get to think about what you want. You get the intend for it to happen. You get to go through some of the challenges along the way because there's more learning to be done in that experience than being in a higher level of conscious and we're just things happen. As much as we say, oh, it'd be so amazing to just think of this and this happens as much as we say that. It's not necessarily the case from a soul level, from a spiritual level of consciousness or how we can interpret it kind of experiences we have. So with that being said, the first way that we can begin to hack the simulated universe that we may live in is understanding our thoughts, understanding the direction they're going in and understanding something called the rule sets. Many times, when people begin to have an expectation, they create a pattern and what happens is based on the prior pattern, it's more likely that we continue to create that over and over and over and over again. So the key to it is almost seeing things as fresh. Almost seeing things as it's your first time ever doing it because what happens is anytime we go into the past way of thinking and to the autopilot mind, we then create from an autopilot tight creation mode. It's almost like we can't create anything new because we're always doing the same thing over and over again. So what this means is the more we get outside of our comfort zone and we do new things, the more we have an ability to tap into something that is a greater degree of change. So this is a way that I found a hack the universe because when you're or the hackers simulated reality, we may live in. Because when you go to do something, if you keep doing it from the same energy, if you think the same thoughts every day, if you feel the same emotions every day, if you take the same actions every day, you're going to get the same results every day because that is on an autopilot rule set that we have created. Because we've conditioned this pattern into us. We create the same thing over and over and over again. The key to this is to more so see how we can bring in something new, how we can begin to create from a perspective of I'm going to do something I've never done before because then we get outside of that same rule set of how things have to be of feeling frustrated or some type of a pattern that we've already created through conditioning. A hack for that is to simply, there's a hack that I use that as to do with setting a trigger for me to wake up from the autopilot mind. So, what I do is this does trigger that I called, change technique. It's something I think I learned from Dr. Joe Dispenza. You go like this, they go change, clap. Your hands change. And when you do this, it changes the physiology because then you're, you're sitting there and you're like, oh yeah, I'm going to go do this. And you go do. And you start doing it in the same old way. And I've always stayed. I'm like, why am I always tried to do is self-image? Well, anytime I think of Instagram and trying to create a video for it, for some reason, my mind goes there. So clap, my hands change and then I changed my physiology and then I focused on something completely new. I focused on a new perspective and that kind of shakes me out of that rule set of that consistent pattern. Or anytime I think about Instagram, I think about making a self-image video. You see, so you can use that for anything. Set a trigger for you to remember that that is the key to do something new, to step outside of the norm. Because when you do new things, you gain the ability to not have this pattern recognition that's going to create the same experiences over and over again. Everything in our life that we experience is about probability because it's about shifting through this experience of the simulation and we create things to be more probable when we set intentions, when we do new things, when we get outside of our comfort zone, and these are ways that we can begin to increase the probability of certain things happening. The second hack to that of us limit in a simulated universe or a simulated reality couldn't be that of understanding this idea. I think this is so powerful, especially when we begin to apply it. It's understanding the system itself. So just like we have an individual point of consciousness, something we want to experience in our life in the same way, there's this collective consciousness that we're all collectively having together. We're having our own dream of life, but there's billions of other people have in their dream of life, but at a fundamental level we're having this dream of life together and we're relating to each other because there's more to be learned when we're relating to other people for in our own reality, just us. One point of focus there wouldn't be that much to learn because it's just boring. We're just on our own planet or something like that, but having more people makes it more fun. The key is understanding to the dream itself, to the simulation itself, there is a purpose of the simulation itself and that is to less than what is called entropy. So, when you see this, this is how I use it, I'll be honest, I already hacked the system of the simulation in a way and I've been doing it unconsciously because what I do is I always have this intention to add value to other people. You may have heard people like Gary Vaynerchuk who's like, take a lot of action and add value. I believe this. I believe the more value we add to other people, the more good comes to us because what you put out is what you get back. The more good you put out, the more good comes back to you. So, my core business model is how much value can I add to other people in knowing that the more value I add to other people, the more that comes back to me. So, I'm always looking to give more because at the same time, the intention of the system itself is to grow, is to lessen the chaos in a way that you can lessen. The chaos is by increasing the level of compassion in you is by increasing your level of awareness. By expanding your awareness, like I always say in the beginning my videos, so that's my intention because I realized the system has an intention of itself and if you're only in it for yourself, if it's a lose win situation for everyone else, then you're not going with the system. You're going against the system, so it's about being aware of. That doesn't mean you have to be the systems little, you know like going around doing everything for everyone else, but what it does mean is you're in your passion and you link up your passion to adding value to other people. Maybe you create amazing art. Instead of just seen it as art scene as something that wants to be expressed through. You see it as something that I add value to other people because as they're in their house, they're looking at that piece of art. They're like, damn, that's a cool piece of art. You see, so it's about having this understanding of the system itself and I choose to base my whole business model around it and it works very well for me. I find that things come back to me. I put out all this good energy, at least what I perceived to be good energy and a lot of people feel that and that comes back in different ways. So understand there's a system, there's an intention to the system, and if you haven't, begin to integrate your passion into that of adding value to other people. I highly recommend you do it because when you do it, you'll find that things happen easier for you anyways because you are starting to go with the system. 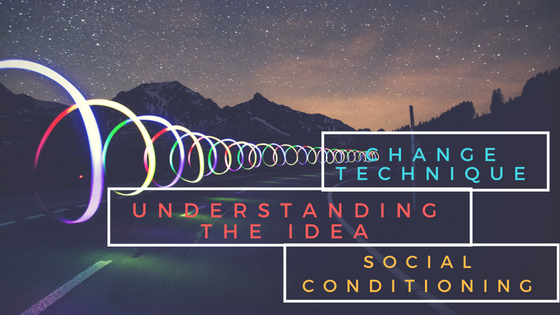 The third part I want to talk about is that of understanding social conditioning. So just imagine there's this grid around the planet. Imagine there's a grid and energy field just like there was any energy fields around our body in this simulation that we live in and imagine that around these energy fields, there's certain thought forms. There's certain ways of thinking and when people think similarly, we grow these thought forms to where then many times will think we're having her own thoughts. When in reality we may be having the thoughts of social conditioning. Social conditioning is the whole perspective that society will tell you or you will hear on the news. The news is a form of social conditioning. Many Times, oh, it's bad out there in the world. Is it really bad? Statistically, it's been shown that we're living in the best time ever that things are continuing to get better, but the news will make it look like things are horrible. What I encourage you to do is to step outside of that bubble to realize you are so much more than you can probably imagine and to know that you don't have to agree with everything that you are told. You are creating your own reality and when you see that some people's beliefs, they're trying to regurgitate them onto you or uneven unconsciously. They're just kind of the way it is. That's just the way you think. You see reality. Reality is what you make it to be. You step outside of the way. Reality is supposed to be the social conditioning. When you begin to think for yourself and you begin to say, what do I prefer to believe? That's all up to you and your own preference of what you want to believe, and you can begin to re architect your own belief system by simply deciding and becoming aware of where the social conditioning already is in your life. When you're doing something asked, why am I motivated to do this? Why am I not motivated to do this? Begin to find why you do what you do. Ask different questions, become more aware of these, and anytime you're feeling triggered, become aware of what this is. Be able to observe your thoughts rather than react to it. These are all things that as you begin to do, you begin to deep plug from that of social conditioning and then to re-plug as to who you are meant to be in your life. So remember, we may live in a simulation. We may be dreaming that we're here right now. We may be immortal, spiritual beings having a temporary human experiences, and we may forget who we are at a greater level. Remember that there's certain hacks you can use. Simply becoming aware of the correlation between what you think and what you experienced is already a step ahead, and if you watch my videos and read my blogs, you're already there, so congratulations. And other thing about this is the key of the system itself is to less than entropy. It's too that have increased love and increased wind scenarios. The more value you add to other people, the more that comes back to you, the more that you are just yourself, your authentic self, the more you add value to other people because energy is contagious. So, that's something that I think the more you put out, the more you get back and the more you become aware of all of this, the more you can begin to see that. This is about lessening the social conditioning, being yourself, and as you do this, you being to create what you want and a very powerful way. To check out Full Time Purpose Youtube Channel click here . To Join the Reality Transurfing Academy for $1 for the first 7 days click here. Today, we're going to be speaking on that have high vibrational living. 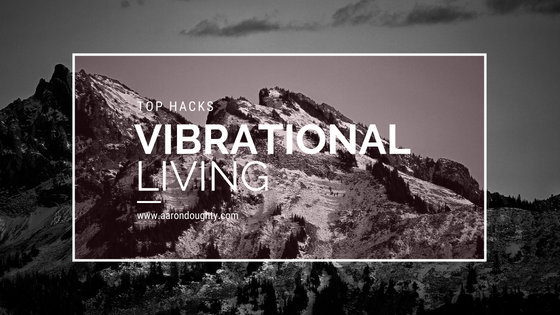 I'm going to be sharing with you some of my top hacks for how I keep my vibration high, some lifestyle parts of this equation that I have to do with how I live on a daily basis, uh, mindsets that helped me to stay in a high vibe state and even some daily hacks and habits that I have that have just totally transformed my life. And let me rephrase it by saying that maybe some of you have heard my story before, but I had this awakening experience back in 2012. In 2012, I went through a spiritual awakening. And in this experience, basically what happened is to make a long story short, is I had at the time what is called ADHD, which means that was hard for me to focus. Doctor said, hey, you have ADHD, here's some Adderall, which is the prescription drug they give out to people so that they can focus and what it does is that will make you focus. So, I went to work every day. I worked at Nordstrom's and I was able to really focus and I made money on it. I mean it was like this. What My Top Hacks for Living A High Vibrational Lifestyle does is it makes you release a lot of dopamine so you just feel really focused. But then the side effect of that is then you crash. So, I would take it while I was at work and then I'd get off work. I go home and the side effects of Adderall are you can't eat very much, you can't sleep very much and it was just very harsh side effects. It's like imagine you're taking caffeine like a whole shots and shots of espresso, which by the way, I would take four shots of espresso and I would feel like actually focused when I would do it. You know how some people feel jittery when I had like what is called ADHD, I would actually feel very calm. It was kind of weird how it worked, but uh, nonetheless, what I would do is I would, you know, how you would crash on sometimes caffeine on taking like a spread or coffee, we'll imagine that times 10 on Adderall and that was the harsh side effects. So, eventually I was working at Nordstrom's and I was going through the harsh side effects, not able to eat very much at night and sleep well. So I did a little bit of research and I came across meditation and you guys want to know what the side effects of meditation are. Only positive, you know, like the side effects. Are you feeling better, more mental clarity? I'm a general sense of wellbeing. I was like, well these side effects look a lot better than the other side effects. So I was like, you know what, okay, although this research, I'm going to follow up on it, I'm going to practice it or at least see what this is all about. So I remember for a second or a first, second day I tried it, not much of a difference. Then I third day, third day was the magical day. I learned how to observe my thoughts rather than control them. The first two days I knew about the law of attraction already and my mind was like, I was like, oh, can I take negative thoughts? Which of course causes more resistance. So instead what I did is I observed those thoughts from a neutral place and I allowed them to be there. I didn't try to control my mind. That was when things started to shift. I started to feel totally different about myself. I started to become more present to the moment. I realized that there is a thinker within me, there's a thinker, and then there's the observation of that thinker that's more awareness. That's more of the expanded point of awareness that I became to understand and from that moment going forward, I started to feel totally different about myself and I remember walking around my room and just feeling so different. Like I would say that before I felt a lot of a lot more anxiety, I felt on a scale of one to 10 with one feeling not so great, 10 feeling amazing. I felt like I was normally in about three or four, maybe a three to a five, and then after this kind of spiritual awakening in this presence that I started to more so feel I went to about a seven or an eight out of nine out of 10. I started to feel really good a majority of the time and I thought it was going to go away. I remember walking around my room thinking to myself, oh, is this feeling ever going to go away? But the thing is, it never really did go away. It just became my natural set point. And of course it still fluctuates. I'm not saying I'm enlightened or I'm not saying that, uh, you know, there's times that I don't. There's times I feel really good, but my base point has changed. So, my base point is now generally at about a seven or an eight out of 10. And as I go down this rabbit hole of consciousness, I realized that this one to 10 scale is kind of obsolete. There's actually a 15 or a 20 out of 10. That's a whole different concept though. That's a whole different episode, but nonetheless, um, that changed my whole life. I then started to live in a higher vibrational state that a lot of things in my life changed from that point going forward. I started to have a lot more realizations about life in general about the way reality works. I let go of a lot of habits that no longer serves me. Um, and I started to resonate with a totally different way state of being a state of consciousness and what I'm about to share with you, these different hacks and stuff that I've learned over the last year since 2012 that I've just in a way solidified into a routine or stuff that I do consistently that has allowed me to live the kind of lifestyle that I do now. And part of that lifestyle I live now is I wake up every day and I love absolutely love what I do. I get to do what I want when I want to do it. And it's because some of the stuff I'm going to share with you. I don't say that to brag or to make you feel like, Oh, if you're going to a nine to five job, you don't enjoy, you should feel bad. Uh, I think that you can do it as well. I think this is stuff that I share is like I just kind of, I've lived it and I've done it, so I want other people to be able to live it as well. So, part of that has to do with understanding a, this one major idea that I'm going to be sharing with you and it's the thread from which all of this kind of weaves through and that is simply understanding passion and doing what you love for a living. And the reason that is, is because when we're in a high, in a passionate state, when we are doing what we are naturally excited about, when we doing whatever that is, that feeling, that feeling of excitement is our body's translation. It's our body's way of telling us, hey, this is what you're meant to be doing. This is more to the core of who you really are. This core is who you really are. And that's the thing is when we feel in positive emotion, that's emotion is telling us that we are in alignment with who we really are and I are higher vibrational state. Is that connected to our passion and what we're excited about. When we do that, something else that'll happen as time will go by crazy fast, I swear time goes by so fast, it's insane, and it's because I'm in this high vibe state of me doing what I love and the biggest takeaway. We'll just get into it right now. The biggest takeaway from this whole thing, I'm going to tell you the hacks. I'm going to tell you all these little things as well, but the underlying thread of this all is, are you doing what you are passionate about? Are you doing what you're excited about? And if not, that's totally okay, but know that as you start to set intentions for you to figure out what that is, you will start to find momentum in your life going in that direction. So this is more so about understanding who you are. This is about understanding your core frequency, understanding that you can start to do things that maybe are a little bit scary because you haven't done them before, but if you have some type of intuition about it, I'd say go ahead and do it. I and even me when I was making YouTube videos, I wasn't comfortable. The first video I made like, Oh, I knew that YouTube videos or some type of videos in general, like I, I've always known I was meant to be some type of public speaker since I was young. I just knew that I knew that that was my mission in life or something I was going to be doing, but I didn't know how that was going to come to fruition and I knew that the first YouTube video I made, I wasn't going to feel very comfortable. And if you go back to my YouTube channel, look at the very first video I ever made. I don't look very comfortable and I had this intuition inside of myself that said, hey, if I do this, I feel like I will either become more passionate about it and it'll become more natural for me or it will lead me to something which is where I need to be. And that's what I did is I just decided I was going to do that. And of course, I figured things out along the way that accelerated that whole process. But nonetheless, I was scared in the beginning, but I chose to do it. So is there something that maybe you've been holding off? Maybe it's a, maybe it's starting a podcast. Maybe it's creating content. Maybe it's you doing art more often and you expressing it to the world. Maybe it's sharing a message. Maybe it's you, uh, going all in on something you're passionate about. Whatever it is, find out what that is and choose to do it. Take the step, take the leap because that leap, even though it feels scary at first, will lead you to the next best thing. And the thing is we can't create anything new when we've been doing consistent things over and over and over again because auto pilot mind is in effect, everything that we do is on autopilots, almost everything, 99 percent of it, and when we make this choice to do something that maybe we haven't done before and especially when it has something to do with them. That's when things really start to happen in a powerful way and that's what I did, is I made the choice that I'm going to start making more YouTube videos and that's what I did and things started to grow and you get signs from the universe as well. When you are taking action, doing something you're passionate about, the universe will give you signs and it will say, yes, you're going in the right direction and maybe right away even if something doesn't happen right away, you have to trust the process. But the first thing that I wanted to talk about today is that of doing what you are passionate about. Personally, I've always known that that was, like I said, making videos or sometimes somehow sharing my message, sharing my content and I did that with making YouTube videos and I did that for about six months, eight months. I didn't get as much out of it because I wasn't putting as much into it. And the game changer for me is that I decided that in order for me to bring my side hustle into my full time, what I had to do is I had to treat my side hustle. Like it was my full time before it was, which wasn't always easy because I was working a nine to five job and I was, you know, I was working at Barneys New York selling woman's shoes 40 hours a week, plus all the other time. Pretty much was me making YouTube videos, editing them, posting them. But I just, I believed so much in what I was doing and I knew that the more I put into it, the more I would be in the vibration of being a full time YouTuber that eventually that would become my reality and that's exactly what happened. That became my reality and it's like what are you passionate about? And if you can do that thing more often, that will lead you to more and more of you being in a high vibrational state. Like when I get in front of the camera and I make videos, I feel like I'm in a high vibrational state. Like I get into a flow state. I don't, I actually don't even script my videos. Like sometimes I don't even really know what I'm going to talk about in the video. The only thing that I write down the day before is the title. So, I know the exact title when I wake up in the morning, I believe there's power in going to bed at night and having the subconscious mind work on things and figure it out. I set the intention before I go to bed. 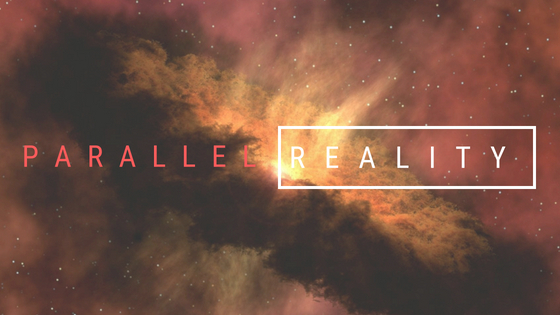 And, before I went to bed tonight, I was like, okay, I'm going to make a video and parallel realities tomorrow. Understanding we don't have to create our own reality. We can make it easier by knowing that we can just choose it, so that's all I knew, but I woke up this morning. I do some of the stuff I'm about to share with you in a little bit about my high vibe type habits and then I go into a video and it just very smooth, very easy because I've prided myself through hundreds and hundreds of videos. I think there's 700 videos on my YouTube channel now and I don't say that to brag or for you to feel like you're. You're so far behind. I say that because with repetition is where the power comes. It's where it all starts to flow through. So buy into yourself now because the earlier you start, the faster, quicker ahead you're going to be. I can only imagine that if I started doing this like four years ago where I would be a, everything happens, you know, of course the way it's supposed to and I believe that, but at the same time, I know that in four years from now I'm going to be at a totally different reality and the sooner you start the better, so I encourage you, whatever that is, to start now, not wait, start now because you will start to be. You'll be much further ahead than you would be if you waited and you waited and you waited and you never know how fast can things can happen. I couldn't have imagined a year ago that I would be at where I'm at today. I knew it was my goal. That was my intention, but it's even exceeded that of what my vision was, so find out what you're passionate about. Do that thing because that thing, whatever that is, that feeling that you have within your body is your body telling you this is closer to your core frequency of who you are. If you don't know what that is, like I said, just simply set intentions. When you set the intention for you to find your passion, you'll start to get signs of that. Maybe it's a book that pops out at you. Maybe it's a certain person gets brought into your life. Maybe it's a certain activity you feel guided to do. Maybe it's not the end all be all thing, you know, like, uh, I get certain intuition sometimes I had an intuition that I to start making more meditation videos and I started to do that and people started to really get benefit out of it. I started to realize how much power that was. So I kept doing it and that was like a carrot on a stick that led me to something else that led me to something else you never know, but you just start doing whatever's the most passionate thing you can do in the moment that will trickle out and lead you to the next best thing to the next best thing to the next best thing until eventually you're on this astatic static expression of how you prefer to be this timeline. That's just totally indicative of how you prefer to be. So that's the underlying thread of passion. That's probably the most important part of the process, but I wanted to share that first. As cliché as it sounds, it really is the true degree of power and money is a side effect of that. Honestly. Like money is a side effect of that. Like I put everything I do, I put into adding value to people through me sharing my message because I know that a side effect of that is the financial abundance. A side effect of helping other people is. What we put out is what we get back. That comes back to because I believe we live in a reality where what we put out is what we get back and at a deeper level. What I put out to other people and if I can help other people, I'm helping other aspects of myself from a deeper level of consciousness and that comes back, but the key is to not focus on just the money. It's not just focus on the materialistic parts of it. That can sometimes be a motivator, but the key is to go deeper than that because those things are fleeting. They're fleeting. Even if like we make a certain amount of money per month, that was our goal. We may make it and we may realize, okay, this is cool, but it doesn't feel that much different than, than whatever. Before, I would say that one of your first goals should be to just go full time doing what you love. That can be, that I think is more powerful than a certain dollar amount, and they say that statistically when you get to about $70,000 a year, and I know this is debatable, but about 70 to $80,000 a year. That’s the point. The meditation that I am going to share with you today can absolutely change your life and I think that if you listen to it, you'll see a greater reflection of who you are really meant to be. Now, what this meditation will do is give you permission for you to be your best self under the awareness of parallel realities and have the parallel reality where you are already doing in living. The exact way that you want to live. 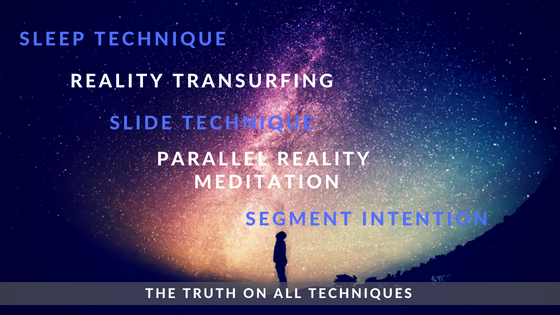 Now, as I've been doing in a lot of these videos, is before we go into the meditations, I explained some of the concepts so that when we go into the meditation, we wire it all in now that have parallel realities. Let's see this from a point of view of the way things naturally work. Now, what quantum physics is showing us is that we are constantly shifting through billions of parallel realities. Now, think of it like this. When I first heard that billions of parallel realities, I thought, how is that even possible? We'll imagine that right now I am like this. Then I go like this, and then I go like this, so this is all one movement, but this is a parallel reality. This is a parallel reality. Imagine that one little variable is a little bit different. Imagine there was a cat that was walking around and instead of the catwalk and this way it walked this way, it was just a tad bit different. Well, each individual version of me doing this and the cat moving a little bit differently is also a separate, totally separate parallel reality because there are so many different variations and variables that come into making the parallel realities a little bit different. There is also an infinite number of parallel realities in general that exist now. What we think of under understanding of this quantum physics is when I'm going like this right now, we see this in time space reality. Now the idea is movement is the shifting through different parallel realities. So, because I'm going like this right now, each individual little frame, if I were to take this video and edit it on a strip or edit it on the, uh, on iTunes edited on final cut pro, what would happen is I would be able to stretch it out and see individual frames. And those individual frames are all symbolic of individual parallel realities. Now we are constantly shifting through different parallel realities. So the question is not can we shift through different parallel realities? It's can we create a greater degree of change from the parallel reality we are experiencing to the one that we quote unquote want to experience. Now, here's something that's really cool and I've been sharing this a lot on the Channel One. Normally under the old law of attraction way of thinking, because we can also use these parallel realities to shift to the one that we prefer under the old Law of Attraction way of thinking. We assume that we must create our own reality that we must try really hard and we must create it. Think about how much connotation, how much meaning we give to the word create. of this stuff. Now, how much easier does it sound if instead of create your own reality, it was choose your own reality because it already exists, so therefore you don't have to try to create your own reality. You just have to choose it because all parallel realities you can possibly imagine exists right now in the present moments. So, what this means is that we can start to allow more things into our life. We can start to imagine the best version of us and what we'd be doing. Imagine it using our imagination and as we imagine it, we can know that it already exists. That version of US already exists, simply vibrating at a different frequency. Therefore, that version of us is experiencing a different reality, so if we want to experience the same reality as that version of us, what is necessary is we must do the same actions, feel the same, emotions, stink the same thoughts, and as we do so, we link up with that version of us eventually. The reality that we experience on the outside will be a reflection of how we are vibrating on the inside and if we start to take on the same behaviors as that version of us, then eventually we will experience that reality in our life. So, with manifestation in general, think of this as more in the form of resonance, resonance. How are you feeling? What actions are you taking? What thoughts are you thinking? These three things, jock, Dr. Joe Dispenza, has said before, who has a whole bunch of books on stuff like this and one of his books is called how to break the habit of being yourself. I think that's where I read this quote. He said, your personality creates your personal reality. Your personality which is a combination of what you think, how you feel and how you act. These three things make up your personal reality, so if you want to change your personal reality, you must first change your personality. Who We hear that change personality? What's wrong with me? Well, there's nothing wrong with you, but the thing is, is who we think we are is just a familiar set of thought patterns. It's something that's happened in the past where we subconscious said, that's who I am, can speak out. It got to be shy. That's just who I am, and we always stay consistent to that self-image, not knowing that we can recondition ourselves to be the way that we prefer. This is what I encourage you to do, and we're going to get into the meditation here in a minute, but I wanted to explain all that so that you can see that this is a much easier than we probably thought that manifestation does not have to be this thing that we try so hard to do to create our own reality. It's more so choosing our reality with the awareness that it already exists. So we can allow things to happen and we could focus more on the resonance with that version of us. So when I imagine the best version of me and what I would be doing, I see myself traveling the world, doing speaking engagements, seminars, doing workshops. I imagined myself going and eating at great healthy restaurants, networking with other people that are in my field. I imagine myself on planes and in First Class I imagined myself going and living are pretty much living out of a suitcase and amazing hotels. Having a home base that I can always come back to in a nice house. All of these things I imagine, and as I imagined it, I also have the awareness that that exists because all parallel realities exist here and now, so that version of me already exists. As I imagined that version of me, I begin to bring in more of those characteristics. I imagine how that version of me would be acting, how that version of me would be carrying himself, how that version of me would be thinking, the emotions that version of me would be feeling, and as I do that, I start to link myself up to that. I can give myself permission to walk into that reality. So, with this blog, you're learning a meditation. I will show you how to literally walk into the parallel reality that you prefer and what you can then do is just know that that is who you are. Now, that that is who you choose to be, and as you simply know that as you simply live as if that is the case, you will eventually see the reflection in your life of that change. But understand walking in to a parallel reality that is not something you have to learn how to do, it is something that you already do naturally because it's a natural side effect of the way reality works. As I go like this, I'm constantly moving through different realities. I didn't have to learn how to do this. It naturally happens. It's just that now I'm becoming more aware of it. While I'm being more aware of it, I can then decide and say, okay, I want to do X, Y, Z. So, let me imagine it. Let me feel the emotions of it. Let me take the actions of that version of me and think the same thoughts and I will eventually see the same kind of experience. So, in actuality, what this meditation is about to do, it's going to give you permission to create a greater degree of change from the parallel reality you are experiencing to the parallel reality you choose to experience. And if you simply decide that right now, when you come out of this parallel reality meditation, simply decide that you will be forever changed. They you will give yourself permission to be the best version of yourself of the one that you can imagine. Imagine yourself what that would look like and simply choose that that is who you are. You see, the thing is we have a way of looking at ourselves and we have a certain story that we tell ourselves and this story that we tell ourselves is what keeps us locked into the same parallel reality over and over and over again, creating the same things over and over and over again, but the truth of the matter is you are here right now. We aren't getting ready to do this meditation and you can tell yourself the story that there was this guy on YouTube with a parallel reality meditation that when you did, you shifted to the parallel reality. You want that you began to embody more of your true self. That you began to see more of what you want in your life. You begin to see new opportunities come into your life because you choose for it to and it because you are now deciding that you can create a greater degree of change between where you are to where you “want to be knowing that it all exists right now”, but now you're going to do this meditation and you can tell yourself a story that I did this meditation from this guy, Aaron on YouTube and that when I came out of it, I was totally different, totally new version of me. This is who I choose to be. Now. This is how I prefer to be, and from this point going forward, I decide that this is who I am. So that's what this meditation will do is give you permission for that to be the case and if you simply buy into it, if you simply choose that that is the case for you, and I want you to know congratulations because that is the case. Our reality is a reflection of what we believe to be true. Our reality is a reflection of what we believe to be true. The story we tell ourselves as constantly in determining which probable parallel realities we shift to. I encourage you to tell yourself the story that this meditation is about to change your life, that after this you're going to give yourself more permission to be yourself and that from this point going forward, you will be forever changed. With that being said, let's get into the meditation. So, what I encourage you to do is to listen to this with headphones in ear, headphones if you can. If not, it's totally fine, but what I encourage you to do is to relax, to lay down, if you can, and to understand to make the intention right now, set the intention that you are going to be forever changed because you are going to walk into a parallel reality that is more reflective of how you prefer to be. So now let's take a deep breath in and deep breath outs and fuel our body. Relax with every breath that we take. Breathe it out. Feel your body relax more and more with every breath that you take. Let's take another deep breath in. Deep breath out. Breathe. Put your hands over your heart and begin to feel your hands over your heart. Feel the warmth in your hands and know that as you put your hands over your heart right now, and as you put attention inside of your heart center, you are growing the electromagnetic energy inside of your heart and inside of your body, and now the field around your body is expanding. It's just by putting attention in our heart. We begin to center ourselves and do who we really are. I take in one more deep breath in and out. Feel it in your heart, center and release. Now if you'd like to, you can close your eye. What I'd like to ask you to do now to imagine and feel the sensation inside of your head. Feel it inside your forehead and feel the sensation inside of your forehead. Relax. Feel your forehead, squeeze and relax. View the sensation behind your eyes, your eyelids, your eye muscle. Feel them relax. Imagine a wave of relaxation flow so through your head, through your eye now, phew. This sensation inside of your jaw. Feel your jaw. Relax and imagine it loosening up, feeling so loose. Put the awareness in your left and your left arm, your right hand, your right arm. Feel good, relaxed, but the sensation your heart center now feels your heart increased with love. Feel your breath deepen. Now put your awareness in your stomach. Feel your stomach relax, put the attention in your left leg, your left foot, your left toe. Feel a wave of relaxation flow through your right leg, your right toes, right foot. Feel a wave of relaxation flow through your lane. Relaxing. Now I want you to imagine any characteristic, any worry that you have from this current parallel reality. Imagine any worry that you have and then what you can do is see that next to you, you have a trunk. It's a trunk that you can store things in and this trunk will convert whatever you put into it, into love. It'll convert it into the solution. Whatever you have in this current parallel reality that you don't prefer to be experiencing, imagine yourself now opening up this big trunk, the lid of it, open it up. Now put whatever is not serving you in this current parallel reality. Put whatever isn't serving you into this trunk, it can be a symbol, so for example, if it's money problems, you can imagine yourself putting a wallet in to that trunk. If it is that of a relationship issue you were having, you can imagine yourself putting something into the trunk that represents that relationship because this trunk is going to convert it into whatever you prefer to experience. It will convert it into this solution. So, imagine any symbol that you may have something is on your mind. Imagine you picking up whatever that is, that object that represents that and putting it into this trunk. Maybe you put a couple of things in there. Now what you can do is take the top lid of that trunk, close the heavy trunk, and notice that as you close it, you begin to see the light come out of the cracks of the trunk and now it is converting into the solution. It is converting into that of the ideal parallel reality. Now we can let go of any worry, anything that's on our mind and once you can now do is know that it is okay. It is going to figure itself out. We won't be needing to focus on any of this right now because the trunk will take care of it, so now turn away from the trunk and look in the opposite direction, knowing that will all be taken care of and notice what you see about 15 feet away is that of a mirror, and this mere is representative of the ideal parallel reality that you choose to experience. So now what we're going to do is we're going to take 10 steps towards this mirror. With every step we take, we are going to feel our body sink to more relaxation. We're going to feel ourselves increase the amount of love in our heart. We're going to feel ourselves more present to the moment than ever before. I'll take a step towards this mirror. I'm going to count down from 10 to one. With every step I count, you will feel double the amount of relaxation flow to your body. 10, take a step towards the mirror and notice that you're getting closer. Nine and other step, you feel double the amount of relaxation flow through your body. Eight, feel yourself becoming more loose. Seven, six, five, field the energy in your hearts begin to increase with love, for getting closer to the mirror. Now, you see it's just a couple steps away. Three more and more relaxed. Two and one. Now you were at the foot right in front of this mirror. Now notice that at the top of this mirror, this mirror is titled the best version of You and it says your ideal parallel reality. Now, look into this mirror and notice that as you look in this mirror, you don't see your reflection. You see a parallel reality version of you doing exactly what you want to be doing in your life. Maybe you see a certain situation that you were in, something you are doing, a way you carry yourself. Notice what you look like. What do you see? How are you acting in this parallel reality? How do you carry yourself? How do people respond to you in this parallel reality? What kind of emotions do you feel in this parallel reality? Now imagine at this parallel reality version of you, sees you looking through the mirror and comes over to communicate with you. Now, as this version of you comes up to the mere notice that glimmer in their eye how they're smiling and ask this parallel reality version of you. If there's anything, any message that they have for you, ask if there's anything you need to know. Now what we're going to do is we to connect this parallel reality version of us. We are going to merge with this parallel reality. Now what we're going to do is put our hand up to that to me, and I'm going to count down from five to one with every number I count. You're going to feel more of the energy of this parallel reality version of you. You're going to know what it feels like. You're going to have the mindset. You're going to have the emotional set point. You're going to have everything that this version of you has and you are literally going to become this version of you. This is where you choose to be this version of you. Now put your hand close to the mirror and I'm going to count down from five to one every number I count. You're going to feel yourself becoming more and more of the same vibration of this parallel reality version of you five. Feel yourself starting to feel this tingling sensation to your body knowing you are about to change for the better for fuel. As your hand gets closer to the mirror, you feel more of this energy flow through your body. Three, double the amount of feeling and vibration through your body to getting closer and closer to the mirror. You feel this connection being made and one, feel this electricity flow through your body. Feel yourself now as you are merged with this parallel reality version of you from this moment going on, this is who you are soak in this feeling. Now, notice that as your hand is touching this parallel reality version of you, you guys been going to merge into each other and you begin to become one. Now, imagine that this mere begins to disappear and you start to walk into the parallel reality you prefer to be in imagining. Take one step in and then another step, and now you are in this new parallel reality. Feel what this feels like. Notice how other people respond to you. Notice how much love you feel for yourself, how much the love you feel for other people in your life. This is who you are. From this point going forward, you are forever changed for the better. You will notice that from this point going on, you will feel inclined to do certain things you will perceive of new opportunities in your life and before the end of the day to day, you will get a reflection that you have shifted. You are now who you choose to be. I want to congratulate you because you have just shifted to a totally new parallel reality. This is who you are now. You are the best version of you. You can give yourself permission to feel these emotions. You can give yourself permission to know that this is your new story. Now, what I'm going to do is I'm going to count down from five to one. Every number I count. You're going to feel more relaxation, more alert, more presence. Knowing that you have changed forever, five, fuel yourself now you can become more present to the moment for fuel, the energy flow through your body. Three, feeling it now increase to more alert, more present, and one you can open up your eyes now and know that you have just shifted. You are now a better version of yourself and before the end of the day to day, you will get a new reflection of that you. I recommend that you do this meditation for at least 30 days to really solidify this parallel reality version of you to really embody that vibration. I think that your whole life will change if you do so now. Reality transurfing is a new way or principle which leaves you with a totally new perspective. What I'm going to share with you is how you can release any desire, importance and what is called excess potential from your manifestation process so that you're able to easily attract what you want. 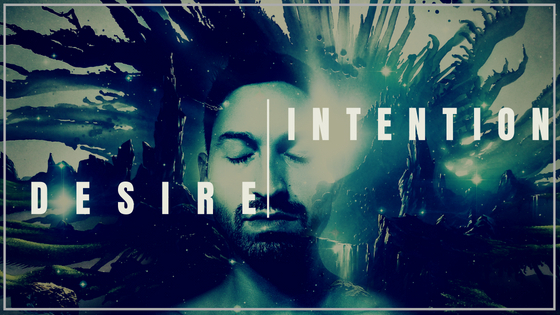 As we all know, desire is an intense emotion of wanting to have something or longing for something to happen. While intention is something that you have aimed or planned. Now, we're going to be going a little bit deeper with the book called Reality transurfing which is a book that I introduce you guys to within the last couple of weeks. It's something I think is just so powerful. It's originally a book that was written in Russia by quantum physicist. It really integrates the ideas of quantum physics. So, we're going to be doing is looking at some of the principles. And before I get into the meat of this video what I wanted to do is to share with you some of the concepts of reality transurfing just to give a little bit more context with this blog. Reality transurfing it is about understanding a lot about parallel realities. The idea that what you want exists right now in what is called the alternative space. Think of this in my teachings when it comes to understand how I talk about parallel realities how if we want to experience something it's more about in body in understanding that that exists right here in the present moment. Maybe not right here we're experiencing it but it exists now. The idea is that with reality transurfing what we can do is we don't want to give anything what is called excess importance because anytime we make something more important than it has to be we create and we bring in balancing factors that have to balance that out. Think of this like any time you have and you want to attract something into your life if you give it so much meaning you put it on a pedestal if you want to attract a person in your life. You put this person on a pedestal and then you end up creating resistance around it because it's so important to you those balancing factors come into play. It balances out so that you don't experience it. This also means that desire is something that we can learn to lesson because anytime we have desire for something what it says in the present moment is that I don't already have that which I want to experience. So, what this means is that what we can learn to do is to start to become more okay with either way we can become okay if whether we have what we want or we don't. And as we're more neutral about it that's where the power really is. Now, this is a little bit contradictory to a lot of law tracks and teachings because Law of Attraction teaches a lot of time say you want to have a white-hot burning desire. Now this isn't wrong. Understand that the point though is that the desire must lead to some type of action in order for us to get what we want. That's what dissipates desire is taking action. Behind this though it's about also knowing that what we must do is realize that any time we desire anything. What we're also saying is we don't already have it. Knowing that in the alternative space what we want exists right now what we do is we must resonate with it and in order to resonate with it what we must learn to do is we must learn how to embody the emotions of either having it. But I understand that once you have it it's something that you're comfortable with. It's something that is very natural for you. You know when you know maybe you have a goal of attain something you think it's going to be this thing that out of a one out of ten you think it's going to make you feel a 10 out of 10 are just amazing in the static. But the idea is that right now you're at a five or six that is unattainable because it's so far outside the comfort zone. What we must do instead is realize and get to a neutral point of view we can create from this neutral space of knowing that we're already whole and complete that as we use observation that many times is much more powerful than try to evoking some type of unrealistic emotion. That's very hard for us to connect to that with reality transurfing. There's also this talk of understanding how our thoughts have an electromagnetic reality nature. So, any time we are thinking certain things we are adding into that alternative space we're adding to that. And when people think similarly what happens is those thoughts overlap. They connect and they create a thought structure which is called a pendulum a pendulum begins to take on a life of its own. Most people are just completely ran by pendulums of society of they're either Republican or Democrat. They're for this or against this they like this sports team. Those are all pendulum's and there's nothing wrong with them. But the power is being aware that they are there because they will run life experience. Think of this in a way like social conditioning. This is why the most powerful thing you can do in order to transcend the idea of social conditioning or pendulum's having power over you is to become aware that they are simply there when you become aware of them. That's where you start to really transform your life. And that's when you can then choose what you want in your experience. Now, we're going to get onto the media this meta this potato the meat of this which is understanding intention is everything. If you simply word you set tensions in your daily life you would start to experience more of what you want. It's just that most people don't know what they want and they don't send intentions to actually have it now. First off let's define what is in intention anyways and intention is a determination to act and to have something specific. It's a decision that you make that I'm going to go do this. Now this is the power of understanding how we can get rid of desire and how we can have pure intention. Now if I were to ask you right now to go over and to pick up a nickel that was on the floor that fell on the floor you would go over there you'd pick up the nickel you have the intention to do so because maybe you know I asked you to actually do it. The idea is you don't really think about it. You have a pure intention if you have an intention to go to the newspaper stand and get a newspaper or something like that. The idea is it's pure intention for you to do so. It's not that doesn't have any strong desire behind it. It doesn't have any strong enough it's not given excess importance but this is the difference between pure intention and intention that is tainted with different desire and importance. But because we give it so much access meaning we then strip it of pure intention. Now what if this what if you realized first off that it is possible for you to make a million dollars it's just simply maybe you don't know exactly how to do it but you know you know exactly how to do it. You can just start taking steps in the right direction. You can learn about the different ways to do it and then as you become more aware of it you start to have more intention for you to do so. But see the moment we start to give it all of this doubt. All this desire all this importance is the moment we start to jumble it up in the moment that we don't really we aren't really able to connect to it. Now. This is why what you want to do I want you to imagine something right now that you want to experience in your life will do a little quick exercise imagine something that you want in your life that you actually desire to have. Now imagine whatever that is and I want you to imagine at the same time that you're going to go over and you're going to pick up a nickel that's on the floor five feet away from you looking at it you go over you just pick it up and just look at the nickel right now in the same way the same kind of attention you had when you went over there and you picked up the nickel and you looked at it. Have an intention that's going to be the same kind of experience with you attaining your goal. It's just neutral. It's not good or bad. Understand that as you aren't labeling things as being good or bad as you aren't resisting it by giving it so much meaning you're more likely to experience it anyways. This is why it is so powerful to create from a neutral point of view this really is a combination of spiritual awakening of presence of the Eastern philosophy with understanding the law of attraction and how we can create what we want in our life in a very powerful way. So, once you can begin to do is to see that the things you want can be as easy as you going over and picking something off the floor if you will allow it to be if you will trust the process. Now with reality transurfing there's two sides to this. There's something called Inner intention and our intention inner intention is what you have power over to do into intention is the ability to act the determination to act. And you can will yourself to go do things so intention is getting out every day is doing certain things every day because you know that as you take little actions throughout your day your body who you prefer to be and you're starting to see things happen. Now on the other side of that there is also our intention our intention is more so the things that matter. There's a bubble around your body and that you have power over the inner intention what you can feel within maybe a couple of feet outside of your bubble of your body but the idea is that our intentions everything outside of that and you've got to realize also that there is a universal intelligence that has a desire of its self. Now this is why I talk a lot about when it comes to intention how an intention to add value to other people because when you make it a win-win that you achieve your goals. Like for example, my goals is to travel the world is to be able to share these ideas with people to grow a message that I'm sharing to people but because at the same time that's my value that's my main purpose of adding value to other people. That's a win-win because it's like I hit my goals and then at the same time I add value to other people for people that are looking for certain information that provide and explain. So you see I mean it adds value because it's also in a way to divine will of the universe. So understand that there is the intention that you have. And then there's the intention of the universe. Think of this like. Maybe you see it as you want to attract someone into your life but realize at the same time there is somebody out there that wants to attract you into their life. So, you see you start to use a new type of energy the intention inner intention is more about the determination to act. Our intention is the determination to have something that you realize you already have in the present moment and that's why with visualization the most powerful thing you can do is to imagine as if you already have that sense that you want to because you don't already have it you imagine it like you already do have it. But what you do is you strip it of excess meaning an excess potential because you are already whole and complete in the present moment. You don't need that to add on to who you are because if you did then that would reaffirm hey you don't already have it. But what you can begin to do is to dissipate that desire and to dissipate that. Importance. That's what it is whose intention dissipate that importance and the way you do this is you simply realize that you're OK one way or the other when you become aware of that. You then start to give it less meaning. Let me give you another example I may have shared this in another video or blog. I'm not sure if I did but I'm involved and I have. I'm invested in cryptocurrency now cryptocurrency as you guys know very volatile goes up very high and it goes down very low and it goes up very high that goes down very low. Now what I've decided to do is to diversify myself like there's a couple of these coins that have certain purposes that I was going to put all my money into. Not that there's anything bad if that's what you did but what I decided to do was to split it up into different accounts of things that I believe in coins that I believe in and that I think have a strong future. And the reason I did that is because I didn't want to give it excess meaning if I put all my money into one coin because of that coin didn't go off the way that I thought it was. Then it's like that's where you know that resistance would build. So what I did is I put the majority in one and then I put some in this and some of this and some of this and even if two or three of those don't pop like I think they will. Guess what. There's still a couple of them that will make up for it anyways and I'll end up making way more than what I put in. So that's the idea behind it don't put excess meaning by not putting all your eggs in one basket. Sometimes it's good to go all in on yourself. All in on your passion. But sometimes it's also good not to be giving things excess meaning know that you can have a backup plan. Now, another thing I want to talk about really quick is the understanding of goals and connecting to your heart and intentions should be a connection between the head and the heart. Both now understand that you have to communicate in a language that the heart can understand as well. Now most people might have a goal they say oh I'm going to make a million dollars next year but this is the thing the heart does not understand a million dollars. The heart does not understand. Well you're saying this paper is going to give you freedom. It doesn't make that correlation even though the brain knows Wolf I had the money I can do whatever I want. The most powerful thing you could do is to link your passion to your abundance. Now what this means is that you understand that money is a side effect of you doing what you love to do even if you were to look at Warren Buffett for example Warren Buffett may look like all he likes to do is make money. But in reality he loves the investing process. He's been investing his money since he was like eight or nine or 10 years old reading books about it. And that's absolutely what he loves to do so. And he has quotes where he says that the best thing to do is find out what you love to do even though it looks like he's just kind of a paper guy reading papers and investing his money. It's not. And if you saw the how he lived he lives in like he drives like a Cadillac like an old Cadillac that's been around for like 10 years. He doesn't have you know what you would think that the third richest person in the world or whatever he is would have. So this is about being aware that you must be passionate about what you do don't make money. The main goal money is a side effect of you doing your passion. I promise you that if you make an intention that you will follow your passion and that you will follow that and do that that the money will come anyways. It may take a little bit of time but the idea is that as you do it more and more you prove it to yourself. You didn't get a reflection of that in your life. That's what I've learned. The more I follow my passion, the more I jump in and trust the process, the more things start to happen. The more I follow my passion the more I jump in and trust the process the more things just really start to happen. And that's something that's really allowed me to do what I love and to really just do it in a very smooth way. Now another part of this is understanding and the what I really love are really transferring is it helps us create from a much higher perspective almost like a higher level of consciousness. Not that anyone is better than anybody else. But it brings these principles into play them think are so powerful and when you create from a higher vibration things happen in a much smoother way. Of course, it dips up and down a little bit but a majority of the time I feel good and I want you to have the same type of experience and be able to really raise your vibrations. Meditation can help you find some inner peace and balance. The practice of meditating has been widely used all over the world as a lot of people gained an understanding of their own mind, have a clearer perspective, conquer negative thoughts and find some inner peace and balance. 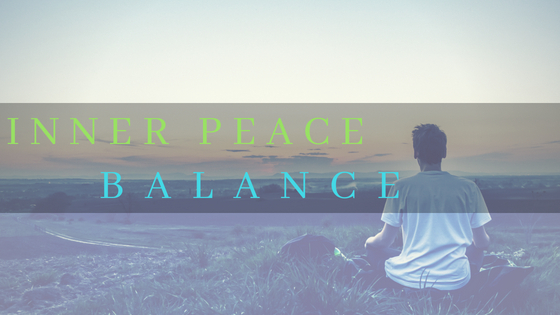 I'm going to share with you a guided meditation for merging with your higher self. I believe this meditation can absolutely change your life and allow you to embody more of who you prefer to be. I’ll be discussing with you a guided meditation that will help you to merge with who you really are. Understanding that the perspective that we have for most of our life experience is such a small fragmentation of who we really are. That when we begin to reconnect to this, we literally feel like a completely new person. Now, when it comes to the higher self, what I want to do is give you a couple of ways of understanding. So, the first thing I want to do is I want to propose an idea to you on this idea has to do with understanding who we are at a greater level now, who we are at a greater level, and what quantum physics actually shows us is that energy cannot be created nor destroyed, which means that if we exist now, would you do? The thing that may change is the form and the form of expression that you may have, but if you exist now, you can relax in knowing that you will always exist. From a greater perspective, I believe from what I've learned from meditation, from many different types of books that I've read from many different types of inner inquiries that I've had where I've learned more about this and also through a spiritual awakening. I believe we are immortal, spiritual beans. I've been temporary human experiences. This goes along with what quantum physics shows us as well with understanding that energy is not created nor destroyed. It's simply is we are immortal. Spiritual beings live in temporary human experiences. When it comes to life on earth, what we do is we forget who we are and this isn't like this everywhere in the universe or everywhere in all realities, but here's specifically if we come here, it means that we are very powerful because it is not easy to forget who we are at a greater sense and then to come here to forget that and then to live through life experiences, not remembering who we really are, that in the universe, it's considered something that is more challenging. Now, if you want more on this, there is somebody who passed away recently, but her name is Dolores Cannon and she has written, I think almost 20 books, 17 books. She's a hypnotherapist that has been around since 19 sixties and seventies and she developed a technique that's called the quantum hypnosis healing technique (HHT)and she's taught thousands of people how to do this certain type of technique for getting people to the deepest levels of brainwave activity. Where what will happen is then their subconscious mind or their higher self will come through to deliver answers. Now, many times these people will go to sleep. They'll not remember what they say yet. They will say things and then it'll be on a tape recorder afterwards, so Dolores or a practitioner, we'll ask questions. The person will say out of their own mouth, like say the words, and then afterwards they'll come out of it, not remember much listen to it. I'm like, wow. I said all of that and it'll be very interesting type answers and it's. There is a consistency between the thousands of people. Thousands and thousands of people that have been in this kind of state, and here's some of the things that people said that was consistent across the board, that we are immortal. Spiritual beings live in temporary human experiences that we have multiple different existences that we can perceive of, but why we are alive here. We only perceive of this one life that we are connected to a greater source of energy and that are our natural state of being is unconditional love and bliss. That's who we really are, but when we come here, we forget that because then part of the game of life is to remember who we are. Something else that I found interesting that Dolores cannon got out of thousands and thousands of people was that many souls are here right now because there is a collective consciousness shift happening. More and more people are remembering who they are, remembering this connection to source, remembering this connection to their higher self and therefore there is a transition of consciousness happening right now on the planet. This is the place to be right now and that's what threw thousands of transcripts and thousands of different people I've been interviewed have said. The soul decided to come here and there'd be people asking questions, so they would ask Dolores. When I'm in this subconscious mind type state, I want to ask why did I incarnate or I want to ask the question of, uh, why did I have a life experience with this person because I had a lot of pain with this person. Why did this happen in my life? All of these things and the answers will just come through. Well, this person chose to have this kind of lesson, this kind of experience because there's such a strong soul that they could deal with it because then they come out even stronger. On the other side, there's so many people that have said that this is the time of the planet to be here right now. That's why I believe there's 7 billion people and so many people want to be here because there's this wave of transition that's happening and if our soul is here right now, then we're about to go to the next octave. We're about to feel a shift in vibration and then shifted consciousness. So this is about understanding who we are at a greater level and that we are so much more than we can possibly imagine. Now, from a higher, the reason I'm sharing all of this stuff is because from a higher level of consciousness, I believe that we are asleep. Dreaming that we are here, we are dreaming, that this is who we are, that this ego structure that I interpret through these five senses that I could taste, hear, touch, smell, all of these things, they appear very real, but my interpretation, my senses are interpretations of vibration and what quantum physics shows us is that everything is vibration. And the reason I say all of this is because this is not the true reality. Is this something Elon Musk said as well? Elon Musk said that he believes that what we experience as real, he thinks there's a less than one percent chance of one percent chance. That that is actually the baseline reality, which implies that we live in a form of simulation. Now this to me was like, I had to think about that for a minute, but I thought about it and this is what resonates with me and this is also something that as many other physicists that speculate on this idea, and this is one of the only ideas that is called a big theory of everything that explains everything. Scientists can figure out little things, biology, this, that, but they to piece it all together. There's not a semi. There's not a unified form theory except for this one is one of the ones that resonate the most and one of the ones that scientists are actually taking seriously the now. It's been around for a while, but it's this theory of understanding that we live in a simulation that we are so much more than we can even imagine, but we are dreaming that this is who we are and that these senses that we interpret things with are just interpretations of vibration. But at a higher level of consciousness. We are so much more than we can imagine, but we have this temporary dream where we're all collectively going through this transition and where we can remember who we are. There's a couple purposes of the stream. One of the purposes of this dream may be that we transcend lower vibration. We transcend lower emotional states of consciousness that we remember that that's not who we are. We are not the shame, the fear, the guilt, the anger, any of these lower emotions are not who we are. We are so much more than we can possibly imagine and that as we become aware of this, we upgrade our level in the game. The more we become aware of how we can deliberately choose what we want, the more we become self-empowered. We become more aware of how we can deliberately choose what we want. When we become aware that our thoughts correlate with what we experienced, we can then direct our thoughts in a way that we prefer. This is where we become self-empowered and we realized that there is so much more than we can prior. We imagine. I want you to know that you are so much more than you can imagine. Now, how do we tap into that of our higher self? Well, one way is we observe our thoughts because our thoughts come from our ego. When we think are most of our lives, this is who I am. This is my ego. When in actuality that is one perspective of a part of who we are. Some people will say that ego is the enemy. The EGO is bad. The Ego is still something that we have to have a physical experience on earth so it can be bad, but I don't believe that we should believe that we are bad. I believe we should observe the ego, be aware of the ego, not identify solely with the ego, and then we use it in a powerful way versus fragmenting ourselves and thinking that a part of us is bad, which is a dualistic type nature which implies polarization. I believe that we are at a higher-level immortal, spiritual beings that live in higher states of consciousness, of love, of bliss that are dreaming that this is who we are, but the way that we transcend back into that higher level of awareness is we simply become aware of what we are thinking of. We observe the thoughts that we have without identifying with them and as we observe them, we start to shift our perspective automatically into the space in between what we are thinking or saying because there's this spaciousness that is also us. You see our body, while it appears to be solid, has an energy field that goes all the way around. Our body goes far out and when we identify just with the body, we limit ourselves, but when we understand that we are connected to everyone else. So what quantum physics shows us so as sacred geometry shows us. When we understand this, we begin to expand ourselves out. Now imagine that a higher self-version of you exists right now and the way that you connect to this higher version of you is by following your passion, the vibration of passion. Once you can feel as passion is your body's translation of a connection to your higher self. It is the carrot on a stick of your higher self-saying, Hey, go in this direction. When I make a video, I can do a flow state. This is my higher self-telling me, hey, go in this direction. Keep making videos. This is who you are, and I keep following that. So, the main part of this blog is you knowing that you are so much more than you can possibly imagine, that you are always connected to your higher self. The key is merging and acting as if the higher self, by observing the thoughts, not identifying with them and knowing who you really are, you are an immortal, spiritual being, limited temporary human experience. You exist in higher states of consciousness. You're simply dreaming that this is who you are. Maybe you lived most of your life experience thinking that you are this limited expression of yourself, but now that you are waking up to it, you are merging back with your higher self. So this meditation we're about to do, it's going to solidify that, but now that you're aware of it, you're already starting the process. So, it's something that continues to compound from here. What I encourage you to do right now is to take a deep breath in, deep breath out, listening with his headphones. If you can feel yourself relax with every breath that we take and just allow yourself to merge with who you really are. Let's take a deep breath in and deep breath out right now. Feel your body relax more and more with every breath that you take. Now put your hands over your heart because when you put your hands over your heart, you bring awareness into your heart space. And the heart math institute has shown that the more awareness we put in our heart, the more we grow the electromagnetic energy around our body and the more than we will expand to who we really are. Let's take another deep breath in. Deep breath out. Carry that out. Feel your body relax more and more. Close your eyes if you can ever begin to put the awareness now in your head, feel the awareness in your forehead. Begin to relax, feeling loose. Feel this warm sensation behind your eyelids. Feel your eye sockets relax. Feel this sensation inside of your tongue. Begin to loosen up your jaw, letting it hang loose and relax. Put the awareness now when your left and your left arm, few of the wave of relaxation flow through your body, your right arm, your right hand now in your chest. Feel this vibration of love inside of your heart. Feel it has you put awareness there and you feel more of this tingling sensation feeling now this tingling sensation to begin to grow inside of your heart, knowing that you are love at your greater sense. Now, feel this sensation inside of your abdomen, your hips, your left leg and foot. Feel a wave of relaxation, flow through your right leg and foot. Now imagine that a wave of relaxation is flowing through your whole body and feel it. Release through your heels. Feel the energy release. Let go. You're the sensation. Go out your heels. You are letting go of energy that doesn't serve you with every breath you take. No, you're going deeper and deeper into relaxation and that you're feeling more of this connection with your heart center. Now imagine you are in a relaxing room in this room. You look around. This is a comfortable room you can go to any time you decide. It's a very Zen light room. You feel very comfortable here. Notice what is in this room. As you look around, notice what objects may be around you. Notice what sounds you may here you can come here anytime you want, for relaxation and for connecting to a deeper part of yourself. Notice that about 15 feet away you see a door and this door on the top of it in gold embroidering is labeled the connection to your higher self. Now go over to this door and notice what the door looks like. Notice what this door looks like in general, and then put your hand out and open up that door and notice that as you look into this, you see stairway going down, a spiral stairway goes down, he looked down and you can see the stairs go down maybe about 30 or 40 stairs. You could see them spiral into a bright white room. Now what we are going do is we're going to begin to take steps down these stairs and with every step that we take, we are descending into our heart space, which is where our higher self-connection lie. As we go down, we're going to be feeling this connection becomes stronger and stronger. We're going to be feeling more and more like we are merging into our heart center. We're going to be feeling this connection more powerfully than ever before, so begin to take a step down into the stairs. Notice how light you feel with every step that you take. Notice what the steps look like. What color are the stairs? Put your hand on the arm rail. Take another step. Take another step as you descend down into your heart space, feel the sensation as you do this as well. You are moving from your head into your heart. You can feel the sensation going from your head into your neck and then into your chest and into your heart. Now with every step we take, we feel this connection become more and more powerful. Take another step. Fuel it, increase inside of your heart center. Now we have 10 more steps. Until we are in this room connected with our higher self, I'm going to count down from 10 to one. With every number I count, you're going to feel doubled the amount of love inside of your hearts. You're going to feel this energy flow through your whole body. You're going to feel double the amount of relaxation flow through your body, so take a step 10, feeling this energy flow through your body. Nine, feeling this energy inside of your hearts. Eight, double the relaxation. Seven, double the amount of love becoming more and more dominant inside your heart. Six, five, take another step for one more. Step three. Now with the next three steps, we are walking into the room. Three, two, one. There you are now in this room, feeling this energy flow through your body. It is very powerful. This is the connection to your heart. This is a connection. You can always come back to anytime that you choose and know now that you are in a very sacred place. Now, this sacred place we'll look unique to you. Look around and notice what it looks like. It can be an indoor place or an outdoor place. This is a magical place that you can go anytime you want to connect to the sacred place in your heart. Now begin to walk around and notice how it for you. Begin to notice the emotions flowing through your heart space right now and take a moment to soak it in. Notice how amazing you feel. Amazing emotions flowing through your body, feeling it increase in your heart more and more feeling love in your heart. More and more feel it, increase in your heart more love, more light sensation. Now imagine that you turn around and you notice that your higher self is there and this higher self is another aspect of you that you are always connected to this higher self. as you are going to merge with each other, this is going to be something that totally changes your life. You're going to be living more as your higher self. You're going to be able to observe thoughts that no longer serve you. Observe anything in your daily life from a totally new level. You're going to become more aware of this connection of who you really are. You're going to feel more guided in your life than ever before and your higher self is going to be there with you more consciously because your higher self is always there. Now, imagine your higher self in front of you right now and put up your hand up to your higher self and what you are now going to do is merge with your higher self. Now, look into the eyes of your higher self and your higher self. Let you know that there's nothing to be afraid of, that this is a part of something you agree to before you came into your life to be having this kind of connection and to be feeling guided from this moment going forward in a completely new way. Put your hand up to that. If your higher self and I'm going to count down from five to one with every number I count, you're going to feel your higher self-merge more and more with your body. You're going to feel an increasing your energy and increasing your heart center and you're going to simply know that you are forever changed. Five. Feel yourself, begin to lock in energy. Feel yourself begin to increase for fuel that sensation double throughout your body. Feel this connection, grow more and more. Three, feeling it now really begin to merge. Imagine your higher self-walking into you now two and one. Your higher self is completely merged with you and you feel like this is who you are. From this point going forward, you will begin to have new thoughts, new guidance. You will feel more integrated than you ever have before and you will be able to observe things in your life from a neutral place and from this point going forward, you are forever changed. Notice how you feel. Feel the gratitude inside of your hearts. Now what we're going to do is we're going to become more alert and present to the moment. It's this sacred place in your heart. You can come back to anytime that you prefer. Thank you. Now walk over to the stairs. We're going to take 10 steps up when I reach one. You're going to be alert, present to the moment awake, ready to have an amazing day feeling and knowing that you have just shifted your whole life. 10, take a step, begin to feel more alert, more present to the moment. Nine, feeling this energy flow through your body with presence eights, feeling it more and more. Seven, six, taking another step. Five, four, three, feeling yourself now. Begin to move around to one. You can open up your eyes. Now I want to congratulate you because you have just shifted and merged with your higher self and your whole life. From this point going forward, you will feel like there's more guidance. They'll be able to observe your thoughts in a completely new way and you have forever changed, so I want to congratulate you for that. Reality is the entirety of all things and events. It is often believed that our lives will depend on how we perceive reality. And, today I'm going to be sharing with you how to deliberately create your own reality, not just, I'm kind of going to create my reality, not just at kind of hope that something happens, no, like actually create your reality from a compelling place. Now, this is going to come from understanding of how to not only deliberately create your own reality, but how also to let go at the same time and what is that delicate type balance? What's that pinnacle of right in between where when we start to do it, it's like amazing things begin to happen. Now, an important part of this to understand though is the role of the ego, because the ego has to deliberately create everything that it's almost like the ego's carrying around all of this luggage. It's carrying all of this around like I got to make everything happen. It's almost like then we start to many times with the Law of Attraction, become really over identified with the ego, thinking that the ego has to do absolutely everything. That was me for a long time to still is sometimes not going to lie. Sometimes what happens is I'm taking action doing things. Something goes a little bit wrong, and then I stuck to my ego starts to freak out. It's like, oh, why is this happening this way? It's supposed to go along to this blueprint. In my mind, it's not happening exactly the way that I thought and I got to kind of put my ego in check and I got to be like, “Yo, just chill out bro.” And then what I do is I just kind of put it back into the present moment. Trust the universe and things start to happen a lot easier. I start to trust the universe and things start to happen a lot easier. So it's about this delicate balance of that, of the ego and what is called the higher self. So it's a larger space of awareness of who we are. And I find that the more that I connect to that and the more that I balanced this out, that everything begins to change. Now what I'm also going to be talking about is in a way looking at some probable type ways that reality exists. The way that does say reality have like a rainbow. It's like reality and the way that it exists in the form of understanding some possibilities that what if reality is a type of dream. But nonetheless, if we start to understand that there's more flexibility in our reality that we priorly thought, then what happens is we start to gain more ability to have it become malleable. Reality is not very malleable when we look at it and we're like rigidly thinking that this is the way things are, but when we see it more a probable type place of maybe we are in a way dreaming in our life experience, but really soaking this idea. I encourage you to. Because the more I do this, the more things become flexible in my own life. We go to bed at night, we may have some dreams. We may look at these dreams when we go, Whoa, this is some pretty cool dreams. Maybe they're not so cool dreams. Maybe you're like, oh, this is not a good dream. This is kind of a nightmare, but whatever it is, you wake up in the morning and you go, oh yeah, this is who I am. This is where it's at, and we assume that there's this big separation between that of dream state and awake state. Now what if in a way life is like a dream? Life is like a dream. It's just a very long, consistent dream that we can look back into the past to go, oh yeah, that happened. It's got some form, some thread of connectability between the past, future and present, or at least that's from our perception, so therefore, because of that, we're able to see the consistency so we buy into it more. But there's a quote that I heard from Elon Musk and it made me think, he said the chances that this is the baseline reality, that what we experienced is the baseline reality is probably less than a fractal of a percentage. What does that mean? Well, think about it like this. We almost, we're getting close. We're getting close to almost with virtual reality, being able to put on some little goggles. We put on some goggles. We look around and what do we see? What if life in a way was a form of virtual reality? It's a consistent one. It's very consistent. We can look back and go, oh, that's who I was in the past. Oh yeah. That's what I may be in. Like in the future if I keep going down this path. But what if life is like a dream and what if at the end of our life we wake up from this dream of life and we go, oh yeah, this is who I am. I thought I was this person for such a long time. What if in a way it's not necessarily relevant that we remember what we do at night when we go to bed? What if at night when we go to bed, we wake up in a higher level of consciousness and a higher level dimensional type understanding type flexibility, but if we were to remember that was higher dimensions here, it might not be that relevant because what if it needs higher dimensional realms, this higher level of consciousness, you felt unconditional love, you felt unconditional love and not only that, but you had this ability to connect to whoever you wanted to connect to, past future, present you had this disease, uh, abilities that you don't have now, and then you come back here and you see duality who see like the news, bad, good things scary. And then you're like, you, if you didn't know that, you'd be like, Whoa, I don't want to go back there. I want or I don't want to stay here. I want to go back. So, a lot of people with NDEs near death experiences say it was amazing. I thought I had to come back. I didn't want to come back, but I had to come back. Why is that? Because people will reconnect to a higher level of themselves. They may use different ways of understanding that, but nonetheless very interesting idea because what if this is kind of like a dream? If this were a dream, how much more ability and flexibility would you have because you wouldn't be giving it so much. Importance is still enjoy it, still experience it, but you don't take it at the baseline reality like, oh, everything is so solid. Everything, so in the way that it is a road, it break up the seriousness of reality. I believe that life is like a game, almost like a video game. It's almost like we've logged into this game of life. One of the purposes is to become aware that you are more than your avatar. You are more than the character. You may have forgotten that. That's one of the purposes of life. We forget that. And we could say we don't forget it as babies, but then we get conditioned to forget it. Life is like a game and you are more than the character. So, at a certain level we forget that that's who we are. And part of the game of life is to remember who we are. At a greater sense to remember we are not just the Avatar, there is also a higher self who is guiding the Avatar. We still have free will, but there's a certain level of guidance that's involved with it and when we start to remember this connection, we gained another ability. Now here's another thing. What? Think about this. You go to bed at night, you have a dream. Have you ever had a lucid dream? How cool is the lucid dream? Maybe you've never had one. Maybe you have a lucid dream is when you're in a dream and you kind of remember that you're dreaming. Most people have had at least one or two experiences of this. I think lucid dreams are dope because you're like, they're, you're dreaming. And they'll say, oh yeah, I'm dreaming. I could do whatever I want. I could fly. I could talk to anybody. I can just appear wherever I want. It's a very cool experience. How much more flexibility do you get when you are then lucid in a dream because you are aware that it's a dream? Well, think about this. You become aware. You become lucid in the life which means you become aware of your thoughts. When you become aware of this correlation, you then have more conscious control, but it's not just from the ego because ego loves that mean the ego would love to control everything. The ego wants to be like just shooting manifestations out of the hands. You know what I mean? Just like wherever I want something just make it appear, but that's the ego. So it's about balance. It's about not just adhering to the ego. The ego always wants to feel like Warren feel more self-worth. What I do is I balance it with the ego's job is to focus in a certain direction. That's the way I view it. Then there's the higher self-connection means connecting to my heart and that's what I do is I focus on this higher self-connection. I let go when I find myself resisting and I go right in the middle of that and go right in the middle and I use that in the direction of what I want to experience, so it's a little bit different type way that I go about it, but here's the main idea of this whole video. The more consciously aware you become of the correlation between what you're thinking and what you're experiencing, the more deliberate intention you can have. The more consciously aware you become of the correlation between what you're thinking to what you experienced, the more deliberate intention you can have, the more you can deliver a create your own reality, so it's about becoming aware of that, but then also breaking up your belief patterns about the rigidity of reality itself. Because if you give so much importance to the way that things are, then what you'll find is you create things being very solid, unmovable, not malleable, but if you start to see that in a way life is like a dream, it's similar. You are an immortal spiritual being. Having a temporary human experience. You're so much more than you can imagine, and because of that you may have decided to come here and I think we all decided to come here because right now it's a transformation on the planet. I think right now we, a lot of us are becoming aware that we're in this together, that the only separations we create between each other or that in their mind, the labels that we create. That's just what I believe. That's just we're waking up, we're becoming more lucid in the dream of life and we're realizing, hey, why are we going to fight each other? Why don't we just love each other? Why don't we just realize we're all connected. It's just like higher level of awareness, this higher level of connection, but nonetheless, being deliberate in your life is about being aware of what you are experiencing in your life. The correlation between what you think, what you feel and what your experience in and the more you become aware of that, the more everything in your life will begin to change. What I do is I set intentions every day. I set intentions for certain things to happen. I line up my action with my intention and emotion. That's what I meant to say. I lined up my intention and my emotion which has this connection to my heart and I move forward with doing and being the kind of person that I prefer to be, but the more I realized that life is like a dream, the more amazing things happen. It's very empowering thing. It's not scary. Oh, it's a dream. Don't be afraid to step into that because the more you do, the more you scramble the expectation. When you scramble the expectation, more amazing things can happen. You think the same thoughts every day. You get the same results every day. Feel the same emotions every day and get this and you see what I mean, so it's about being aware of that and then deciding to change it. Being deliberate is this balance of the ego to that. Have the higher self-letting go focus, letting go focus, doing that, but having this understanding and breaking down what is true, understanding that life is much more flexible than you priorly thought. Soaking in the idea that what if just what if I'm not? You know, everything I share in this channel. It's just the way I think about things. It's these ideas that I think could have kind of a mix up the way that you see the world so that you can become more of who you are, but find out for yourself. I don't. I'm not like trying to get you to believe this. Try it for yourself because when I did this, it changed a lot. I became more flexible. I became more aware first off of the correlation between what I'm thinking of what I'm experiencing. Then what I did is I broke down my belief in the seriousness of life, I realized that life is like a dream, and because of that it makes it a lot easier for me to see how malleable things are and the same way that I wake up in the morning from a dream and I go, Whoa, that was a cool experience, but this is who I am. I believe that at the end of our life, we may wake up as a higher dimensional version of ourselves. Maybe we're glowing with lights. Maybe we can fly anywhere. We can manifest instantly. Maybe that's who we really are. We wake up, we go, whoa. That was a crazy dream, but this is who I am the same. That's what I think might happen. It's a possibility. So, like I say, if you want a way though to manifest fast, you got to raise your vibration. Raising your vibration is one of the best ways to increase your ability to manifest what you want because you start to create from a higher-level paradigm. Meditation will help you to raise your vibration. I recommend you listen to it for 21 days to get the maximum benefit out of it, and I think it will change your life. Others may fail to recognize the value of Reality Transurfing techniques but let me show its importance if you wish to make the most out of Reality Transurfing. I'm going to shed some light on the most underrated Reality Transurfing technique that can absolutely change your life and help you to start to see things from a completely new perspective that will also result in you getting a new reflection in your life. Reality Transurfing techniques give you a new perspective and reflection in your life. Before I discuss this further, let me explain a little bit about Reality Transurfing in case you're just coming on board and hearing about it. Reality Transurfing is what I believe is to be the most powerful manifestation process that I have found and even beyond manifestation process. It is that of a philosophy, a way for seeing the world that when you start to apply changes, everything because you start to see things from a different point of view. Manifestation does not have to be as hard as we think it is. Reality Transurfing has this understanding and what literally the words mean is reality. It means to glide through the space of variations to glide through parallel realities. To understand that manifestation does not have to be as hard as we think it is. Normally we're here. We want to be over here so we're trying hard to get over here. Reality Transurfing is about flowing and aligning our heart and our emotions to that of the reality we want. It definitely has some overlays with that of other processes we may have heard of, but what makes Reality Transurfing unique is an understanding of what is called the balance of coordination, balancing out our energy in correlation with what we experienced. So normally under some of the old paradigms we think of manifesting what we want. We may put things and make them important. We may put them on a pedestal. The moment we put something on a pedestal is the moment we also create a potential for resistance. And, it is the moment we say that is up there and I am down here. The moment we say, I really, really desire this, we are saying, I really, really don't currently have this because I desire it, so this is about understanding that balance of energy and how instead of putting things on a pedestal, we must link up our self-image with that of somebody that sees it as natural to be experiencing those in life. The best version of you, what would you be doing and imagine the best, most abundant version of you making whatever kind of money, having whatever kind of opportunities for that version of you. It is natural to be living that kind of lifestyle, but when we think about it from our current self-image, the current kind of way that we are being, it seems up here it seems, wow, that would be so amazing, but if we instead close that gap by seeing these as natural by up and letting go of the amount of importance that we give things, then everything begins to change. With Reality Transurfing, that's an important part of it. There's this understanding of something that is called pendulums. A pendulum is a thought structure. It is something that consistently we have thought of and other people have thought of and what we do is sometimes we may be thinking that we're having our own thoughts when we're really having the thoughts of what are called pendulums. Think of any time many people have the same viewpoint or a similar viewpoint on one idea they have already thought and felt a certain emotion about something they've created in a way a thought structure that then makes it so that when we think about a same thing, it's also likely that we could feel the same emotions that we could think the same thoughts because those thoughts and emotions have already in a way been laid out before they've already been laid out in like a grid. Think of it like we are creating our reality collectively. We are co creating our reality as well. Think of there being like an energy grid around the planet and that when people are thinking thoughts, it's going into this energy grid around the planet. You could almost think of this like a metaphor, like an aura around the planet. There's an electromagnetic field around the earth, and what happens is people think thoughts, it goes in that energy field, and then it makes it more likely that we could be thinking the same thought. For example, we watched the news, we see some negative event happened on the news that we know that we look at that and we feel the negative emotion to. Well sometimes it may not just be your negative emotion that you're feeling. It may be that so many other people in that collective consciousness have felt the same way, focused on the same thing, that it is even easier for you to feel that emotion because it's already been laid out and it's already in pendulums going around the planet. It's already a thought structure. It's already like a thought bubble that many people have already been having. So, there are pendulums are on every subject you can think of. There's even pendulums in your job. In understanding pendulums, you need to be aware of them. When you're aware of them, you will not be reactive to it, and then you're able to really let it go. Another part with Reality Transurfing is that there's an infinite number of parallel realities that exist. You don't have to attract whatever you want. You don't have to create it. You just have to choose it. You just have to realize that what you want already exists. So therefore, it's about resonating with that version of you. Now with that, there is also this idea of inner intention in outer intention. Anytime we have a willpower to do something in any process that we want to do to get somewhere else, but of course the idea is not to get somewhere else's, to be more here. But the idea is that inner intention, think of that as if the, the solar plexus is willpower to do something. That's the inner intention that we have. The inner intention is that we want to be in the process towards something else. Intention is a will or a determination to have or be a certain way. I have an intention to go to the gym and have a great workout. I have the intention to film and video, enjoy the process and upload it easily. I an attention to film an amazing video and get into a flow state easily. These are all intentions I have. Now, the thing is that inner intention. There's also something called outer intention, which is going to lead into the OB. The understanding of fraying outer intention is anything that is outside of me. Now, of course from a deeper point of view, we could say we're all connected and there really is no outer because the outer is a reflection of the inner, but just for this perspective in this understanding, let's assume that outer intention is anything outside of my energy field, so I may be having an inner intention for me to accomplish something in my life. That's kind of something that I desire. Now, there's also this larger stream of energy and this larger stream of energy includes everything outside of that energy field. So, one powerful thing to do, and this is leading into one powerful thing to do is to link up your inner intention to that of other people's inner intention. Other people have their own inner intentions. When you do something that adds value to them or helps them to achieve their inner intention, it then has a ripple effect that will come back to you. What I mean by this is other people's inner intention is your outer intention because it's outside of your energy field from a certain perspective. Now what you do is you give the intention, you have this intention to add value to other people and this is when you start to get into what is called frayling. So, this honestly is what I have done to grow my YouTube channel as much as it has just a year ago. At the time of filming this video, there were 20 to 40,000 subscribers on the channel. It's grown very quickly because I realized that the more value I add to other people, the more it benefits them, the more it makes a change in their life. The more value I add to other people, the more it benefits them, the more it makes a change in their lives. The more that comes back to me and the more that people want to listen because it is so in alignment with what they want to do. If people want to expand their awareness, expand their consciousness. 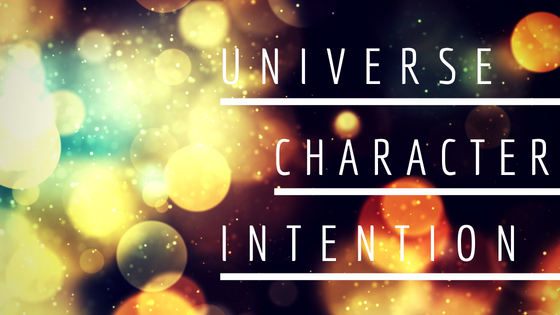 Now, when we link up our intention with that of inner intention, we create outer intention and it creates a win-win for everybody. I believe that honestly, a lot of information I share, it's almost like it wants to come through me because I have this intention of kind of shooting it out to as many people as possible and because it can help a lot of people from a certain perspective, it almost is more. It grows quicker because it's a win-win for everybody. It's a win-win for me because I'm getting my own self growth by making these videos, my own growth with my business, my own growth with helping other people. Plus, it's helping other people to grow so it's tapping into that outer intention. Now I had to explain to all of this to get to failing because now you can see this inner outer. You can see why you could be so beneficial to have this outer type intention. Now when we go, what failing is, is failing is this technique that has to do with linking up and understanding where someone else is coming from to give them what they want, which then will get you what you want. Fairly techniques states that instead of having an intention to get give away that which you have the intention to get and what you want will be yours. Now realize that to give away something given away, you can give away an emotion. You can give away something that gives people a similar effect that you want to get. Now there's another part of failing as well and you can use this with any just about anything that involves other people, so think of it like there are other people that may have certain intentions and what you can do is if you want something, you can use this for a job, getting a job. You can use this for a relationship, but if there's something you need. I used to use this subconsciously, so I used to have a job. I worked at Barneys New York before I went full time on Youtube, which I sold women's shoes. I had a manager and I had this one manager for a while now. My last manager before I left, but I had a manager like a year before I left and he was kind of like had this kind of strong control thing where he had to like, he could make the decisions, but if you ask for something, a lot of times the answer would be no. I was aware of this kind of power dynamic, so what I would do is if I needed a certain time off and he would sometimes give me trouble if I needed a certain week off in like three months down the road. But oh well, well there's this event, there's this, there's this. So, what I would do is I would language it in a way that would link up with an intention he would have so that he would give it to me. We're always focused on what we can get from a relationship. What can I get from this other person? What can they give me? But a lot of times what that does is that causes in a certain energy dynamic where everyone's in it for themselves. Now what you can do is you can instead set the intention that you are able to give something to that person, whether it's an emotion, just making them feel comfort, like comfortable, making them feeling empowered, whatever it is, and if there's an emotion that you crave from someone else, give it away first. If you want to feel compassion from someone, give them more compassion. It works like magic. If you want to feel compassion from someone, give them more compassion because that will then come back to you. It's just the way it works actually works. How can you provide value to other people? How can you see where they're coming from to have this understanding of how to communicate with them? And if you can then give that emotion. If you can give value, then that value will come back to you. Everything that I just gave you a whole bunch of examples because I want you to know that this works because we are all connected and what you put out is actually what you get back, but the next time if you ever have to go to a job interview again, if you're ever looking for a person to have a relationship with, focus on what you can get focused on being yourself. Understand the first thing you could do is that you can be within your own heart energy. That's a very important part of the process of Reality Transurfing is being connected to your heart, not trying to connect from the head, be connected to your heart, move through life, knowing that as you do that, that energy is contagious. Other people will feel that, and then when there are certain things that you desire, focus on how you can give those emotions. If you want compassion, give compassion. You want more freedom in your life? Give that freedom in your life. There's ways of doing this, of tapping in it. When she's started the motion, you'll get the answer. You'll know exactly how to do this, so this is about having this awareness that we're all connected and when you link up your intention with the intention of someone else, it comes back to you tenfold. I promise you that the most successful people on the planet, I have noticed, most of them that do what they do ethically. What they do is they add a ton of value to other people or they solve other people's problems because it's almost like this energy wants to come through people that do so because it's a win-win for not only the person, but it's a win-win for everybody else involved to not only do they get an amazing product, not only they transformed their lives, but also you. It's. It's a win-win all the way around. Have you ever wondered if there is a downside in raising your vibration? Yes, there could be some drawbacks but let me guide you on how you can avoid some of the common pitfalls when it comes to increasing your vibration. I'm going to be sharing with you the three dangers to raising your vibration. I'm going to show you what to do to make sure this doesn't happen and I'm going to share with you how I went through the process so that you can know how to do it. 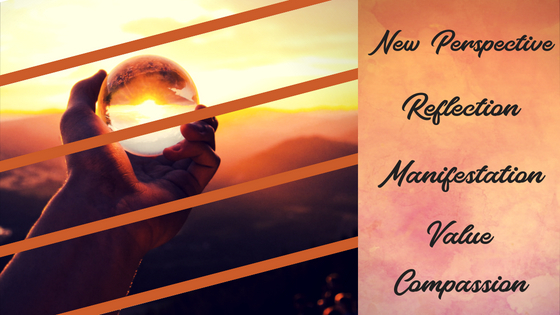 With this whole process of raising vibration, this is more about normally when we think of raising vibration, we may think of kind of getting a new perspective, seeing things from a new point of view. That may be part of it, but a lot of it is also just letting go of what no longer serves, so I'm going to show you the scale of consciousness right here. It's a scale I've showed many times before. It's a powerful understanding for the whole levels of consciousness. It's from a book that is called Power vs Force by Dr. David Hawkins. You'll see a scale of consciousness right here and on the bottom, you'll see certain emotions such as shame, fear, guilt, moving up to the anger, eventually willingness. Then you get to love peace, joy, and enlightenment at the top. Now these are all different levels of consciousness, different rates of vibration. We all have a core frequency, a core vibration that will resonate at either maybe between a. If we're not feeling so good, maybe at resonates at like 150. If we are feeling elated, we're feeling very good, then maybe we're resonated more in the four hundred of maybe even the five hundred of that of love. Now, in general, the basis for this is understanding that we have a base point of where we feel based on prior experience, based on the way we think, based on what actions we do. It'll keep us in trained within a certain level of consciousness. Let me share with you a little bit of my story. It's just so you get kind of a basis for how this works. I used to feel very angry about my childhood. I went through a lot of either an abusive ex-step mom, so I went through a lot of kind of like childhood trauma you could say, and that kept me within a certain realm of feeling anger. I was angry towards her. I didn't feel like I was worthy. I felt some type of a guilt. I felt so many different negative emotions that that carried with me. Even after my dad divorced her when I was 15 years old at the time, so all the sudden me and my brother have all this freedom. We're able to have friends again. We're able to eat foods or more foods who are able to gain weight. We weren't restricted in so many different ways. It's kind of like a real harsh level of control where all my brother did is we worked outside every day and we weren't allowed to really do anything other than that. We weren't allowed to really go to school activities. We had to earn it in order to go. We had a lot of emotional stuff as well because it was like manipulation and stuff. So, anyways, I just want to give you a basis that I felt a lot of resistance. I'm allowed to be like a normal kid and from 15 to about 20 slashes 21, I felt a lot of resistance because even though I was, had all this freedom, there was still that pain from the past of why did all of this happen? Why didn't I have between 7 and 15 years old? I didn't have a childhood really. And I was confused as to why that happened and I thought maybe, you know, there are certain beliefs that were kind of in trained into me about am I worthy? This is, is this a part of who I am? What happened is I learned meditation because I was taking Adderall for ADHD, which ADHD just means I had a lot of energy. It wasn't balanced and I was taking Adderall. Which the harsh side effects where you didn't eat very much. What I did is I started meditating and within a week or two of meditating, it changed my whole entire life. I learned how to observe my thoughts rather than react. I learned that a lot of the beliefs I had come from that period in my life. I believe that I wasn't worthy. All those things, I became aware of how my beliefs were creating my reality and on a base point of one to 10, 10 feeling amazing, feeling not so good. My base point before that was like a three to a five, so it wasn't necessarily horrible, but it wasn't great at the same time either and it was less than. It was less than mediocre. Then what happened is I went through my spiritual awakening. It moved my vibrational set point up to about a seven or an eight out of 10. Now all the sudden I'm feeling this feels like ecstasy. This feels amazing, and that stayed with me and it's honestly, it's not. I'm not enlightened. Let me first off say that I'm not enlightened, but I raised my set point because I learned how to observe my thoughts rather than react. I remember walking around my room thinking, is this feeling going to go away? I thought it will go away. It never did. It just became my natural set point. It became less euphoric in a way like it. It just became natural. You see? And there were a lot of things that happen. So the things I'm going to share with you, the three dangers of raising your vibration because even though that sounds very good, there's also drawbacks to that as well. So you could say that on the scale of consciousness, I most likely went from a baby, a 150 to 250 calibration to that have more of a 3:50 slash 50, because that's when for hundreds is when you start to get into the intellect of the mind. You then start to brush upon that of unconditional love, which I have more so been between the fours and the fives. I haven't really been the unconditional love yet, but it's more about, uh, I've been learning about the intellectual illness of creating our own reality, understanding how to let go of a lot of what doesn't serve. And by doing that we raise our level of consciousness. We can manifest and create things in our life much easier from these higher levels of consciousness than the lower levels. The lower levels are emphasizing that we aren't already where we want to be. Raising our level of consciousness can manifest and create things in our lives easier. When we create from the lower levels, we create a lot of resistance and things just don't happen as easy. In this process of me then going through that spiritual awakening, me feeling completely different, so much about my life began to change. Things begin with my life, began to change when it had to come to the vibration, how I felt. It changed people's perception of me because then I'm a totally different person. With this process, the first thing that may happen, the first danger of raising your vibration is that certain people may not resonate with you anymore. So I remember that at that period in my life I was working at that job. I had a lot of people that'll allow her friends and stuff and there were people that just did not understand what I was going through. They didn't understand how I went from one way of being to a completely different way of being. I started to really dive into metaphysics, understanding how we create our reality from our thoughts, all of these things, and to people that normally know you as a certain type of person when they look at you and they see this kind of change within you. It kind of scares them. You know? And I kind of get it now that I look back at it because there were a lot of people that are friends. Even family. Like my dad for example, he didn't know what happened. He thought I was on drugs or something like that. Because I go from one way to all the sudden meditating all of a sudden talking about like higher consciousness and stuff like that, and he just didn't understand it. And now the paradox is that I was not, I quit drinking, did not have to drink anymore. I quit doing anything. No, there's no drugs. There was no anything other than me being an meditating once a day and doing things that, uh, that were kind of like conductive of the lifestyle I was living, living. But there was no, there was no drugs, alcohol, nothing. It was kind of a paradox it was actually far of the opposite of what we thought was happening, but people nonetheless did not get it. So when you start to resonate with those higher levels, like I was showing you, not that this means you're enlightened or anything. You know, sometimes I say things people think I'm like insinuating that I'm enlightened. But when you do start to live, I do believe I do live more so within the four to 500 range than I used to. And I believe you have the same ability as well. That's why I'm sharing this info. That's why I share a lot of the videos on my channel because I want other people to feel the same way that I do. Sometimes you have to let go to then let in. This is about realizing that it's about resonance and when you start to resonate at a higher level of consciousness, there are some people that won't dig it. There are some people that won't like it, and the thing that you want to avoid here though, this is one of the dangers that's on the other side as well, is you want to refrain from developing what is called a spiritual ego. A spiritual ego is something that I actually developed when I went through my spiritual awakening. I started raising my vibrational state of consciousness, which is a big paradox because it's like you're more aware but less aware that you are judging in a way. It's like a form of judgment and that's what I did because I was like, oh, I'm in this higher state of consciousness and everyone else just doesn't understand me. I was kind of bitter honestly, because I just felt like nobody got it. You know? There were very few people that have, a couple of people did, but most people did not understand it, so when they see me in what I'm doing, they assume that there's something going on, something weird going on. So, what I had to learn to do is to let go of the spiritual ego, realize everyone's on their own journey. This is simply a matter of the process itself. This is about just more so embodying how you prefer to be letting you be yourself and letting other people be themselves. And if they do have beliefs about you that you don't prefer, just observe them and let them be. It doesn't mean anything to you and that will help you move through this process because there may be some people that just fall out of your life because they don't resonate anymore. The good news is that if you trust the process by letting go, you will didn't let in people that really do resonate with you. You may notice that you start to feel completely different about yourself. The second danger of raising your vibration is that there may be radical shifts in your life because when you change your vibration, when you change your state of consciousness, it will then change what you resonate with. And you may notice a career change. You may notice, like I said, with the relationships, you may notice that you start to get pulled to move to a different part, a different place of wherever you live. You may notice these things because they just simply don't resonate anymore. So, when I was showing you those levels of consciousness, then what you'll notice is that there's a certain on the lower emotions that could work in all the way up. You'll notice that there's that certain scale of kind of show it to you one more time. Let me share with you something else that did happen. I feel guided to say this, this wasn't something I planned on.in this video, but I think it's powerful and I think some people may want to hear this now. This may not resonate with everyone. But, this is something nonetheless that did happen when I went through my spiritual awakening. Certain emotions lie beneath your scale of consciousness. What you'll notice on the scale of consciousness is at the bottom you'll have certain emotions. Then you move up and eventually you'll see the, uh, the two and three hundred, two and three hundred maybe eventually get into like anger. And then you get into like willingness, love, and all of those. I started to go from the three to a five to the seven or and eight. I had that, that shift in feeling and what happened was, is then I would, if I were to smoke after I had that shift, it would actually bring me down. I would go from that seven or an eight down to like a five or a six and I was so confused. I'm like, this brought, made me feel good for so long. Why is this doing this now? And I just did not understand it. But then reading the book Power versus Force, I became aware that marijuana or weed resonates at about 350. It's not necessarily that low, but it's also not necessarily that high. It depends on where you are on the scale of consciousness. Now, the third danger of raising your vibration has to do with old things coming up. Within our body there are certain emotions, there are certain stored energies, and when we start to move through them, we start to see them come up. We can then decide to let them go. Now, many times when we are entrained into certain levels of consciousness, what happens is they remain on autopilot, so we're simply not aware of them. Now, as we raise our vibration though, as we move up to scale, it then makes it so that we almost have to let go. Those things will get brought to the front. It may seem scary sometimes. This is the one. Sometimes people go through the dark night of the soul and they haven't experienced like that, but then what that does is that gives them the opportunity to look at it, to let it go, and then to come out even stronger on the other side. I recently went to a place in Costa Rica and there it was like a light transformation place. And when I went there, what we did is we did this breadth workshop in this workshop, we breathe this certain type of way for about 45 minutes. This is like deep breath, it's called transformational breath work. And I just did not know what to expect. I've heard of it. I went into it not knowing having any expectations, do the certain type of breathing you actually breathe through your mouth, which is kind of counterintuitive to me, but it's what you do and you do this certain breathing technique for about 45 to 50 minutes with music in the background. There were about 30 other people there and they said that when things come up, just let them go. There'll be certain emotions that come up that been stored within the body. What I did is I was going through starting to do the exercise and every now and then a practitioner would come over and kind of adjust a little bit the breathing to see how to breathe properly, you know, and kind of like loosen up certain muscles. And I'm breathing in all the sudden in this exercise, about 20 minutes in my hands cramp up like this, like almost like a praying mantis and I'm lying there on the floor like this, and they said that something like that might happen. They said, you may feel inclined to being on the floor to release the stored energy. And it was something I totally did not expect to happen, but I felt this tenseness in my hands really tense and it didn't feel bad. My body actually started to kind of go numb, but it wasn't a bad numb. It wasn't like I was afraid of it, but nonetheless I could feel this going through my body. And then what happened is there were waves of sensation I with my body and I could feel myself letting go of energy that was stored up letting go of things that no longer served. As I did that, I just kept thinking to myself, let go, let go, let go. And as I did that, I was letting go of story, emotion from my past childhood, from the kind of person I had to become to cope with all of that stuff. The control that I had, my ego had to develop. I had to kind of develop a, I guess a strong ego for me to become successful on YouTube. I started making daily videos. I started putting everything I did into what I do for a living and that kind of developed this ego, this control that I had to have over my life for things to happen the way I want. And what I learned is how to let all of that go. I remember afterwards we had like a sharing and I was going to explain in my experience and he said it was a very common type experience. Some people were crying, some people were laughing, some people were just banging around, some people are humming. I was humming for a while as well, but this was really a transformative type experience. And it lasted about an hour. After that I felt so very just relaxed, peaceful, serene, euphoric. And that was letting go of those kinds of emotions. So it seems like a bad thing though, right? I was feeling that tenseness, all of this stuff. But what was happening is the oxygen I was bringing up inside my body, I was increasing the oxygen levels of my body that was causing things to come up. And then I was able to look at them and then to let them go, you know, even though my eyes were closed and I'm of laying back, I started to bang my hands, like halfway through and I could feel myself just letting go of that stored energy. Now that may seem like a scary experience, but it was very transformative. And it was something that really allowed me to, to let go of things that just no longer serve me now as much as what they told me as well. I remember I was talking to one of the transformational breath work practitioners afterwards and she said that the way people breathe, the breath pattern we have so they can look at someone's breath pattern and they can see almost exactly. Or generally what that person's personality traits are. So, I said, okay, well what's my personality trait? Then she saw me breathe for 40 minutes, you know, because she came around and adjusted me a couple times. She was like, you're an overachiever. She says, you, you have a very strong desire to be successful. A lot of people that breed that way do are successful, but they create a lot of resistance because they have this armor around them. They breed from their back and it's so true. I've always breed like there's certain times during the agriculture what kind of breed like that because I'm controlling my breath because I need to. I need to like control my breath and bring in more. And she just kind of explained that what you can begin to do is to let go. You can begin to see that things can be easier than you make it and that from that point going forward, I learned how to let go of the control of my eagle even more and I started to feel an even a higher level of consciousness. I know all of this may seem a little bit more of a metaphor than anything else, but it was something that happened that was very true for me is letting go breathing in more. If you have breathe shallow, then maybe you don't feel as confident. You can learn to code, you can learn to allow your breathing in a completely new way and it can change everything. The more oxygen you bring in your body, the more you're going to let go of stored emotions. And that's something that can help as well. You may be wondering how long does it take to master the Law of Attraction and get the results that you wanted. Is there a way to speed up the process so that you experience what you want faster than ever? 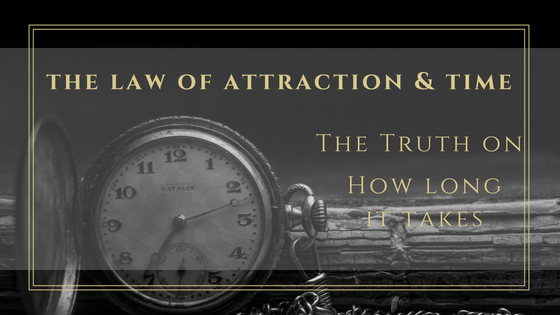 Today, I'm going to be sharing with you how you can speed up the process of the Law of Attraction, understanding a completely new model of time and a way for integrating time into your life. I will help you let go of really creating more distance or more of a gap between where you are and where you want to be. Now this is going to be rooted in an understanding. You may have read the book, the power of now by Eckhart Toley and in that book, it's the power of now. The idea of the past is something that exists in the mind because the only moment is now, and this is something that we can see that the past and the future, both our projections of consciousness, the projections of the mind, because when it was the past, it was this moment now and when it will be the quote unquote future, it'll be this moment right now. The idea of the past is something that exists in mind. Our brain can use our imagination for the future or our memory for the past, but those only exist in the mind. The idea of the question of how long will it take for me to create this in my life that's under the presumption or under the premise that we are going in a linear time space type mentality. Now of course we're having a linear time space reality experience, but remember it's an experience. The more you focus on time, the more the time appears to be there. Now, many times what happens is the more you focus on anything though more, it grows. The more you focus on time, the more the time appears to be there. Maybe you've experienced this before. Have you ever had it to where you're doing something and time just flies by? There's some times I'm filming videos and fill in two or three videos and I'll look down and it's been two and a half hours and it's like where did that time go? Because I got into a flow state and because this is what I love to do. We're in a vibration of a flow state now. Have you ever had it on the other side of that where maybe you were? I remember I used to work a job I wasn't that crazy passionate about and I remember sometimes the more I would check my watch, the more time I would create, the more experience I would have of, oh, an hour left of work. You see over and over and over again, I would look at it and create more of it. Time exists as an experience, as a benchmark. We can use for reference. We can say, Hey, I'll meet you at 8:00 on Tuesday and you go, yeah, chippers and then you guys go meet at 8:00 on Tuesday. Now it's convenient, but at the fundamental level, the experience of it all exists now. Now this gets really interesting because this is when we then talk about parallel realities, which is something that I've been sharing on the channel. Now let me ask you a question. When you're manifesting what you want, doesn't it feel hard that you have to create your own reality that you've got to create it as if it doesn't already exist as if you've got to like have some type of magic marker that you pull out of your backpack and you start like creating a whole set of circumstance and a whole bunch of people and everything. If you had to create the perfect partner, how much does that? Sounds like a big job that you got it. You got to create the perfect partner, a relationship. You see that's not how it works. That person already exists in the same way. Understanding parallel realities and understanding that every reality we can possibly imagine exists right now, it is simply vibrating at a different frequency. We could then see it's less about having to create it. It's more about choosing it from a set of options, so this is under the understanding that there's an infinite number of parallel realities that exist. This is what quantum physics is showing us. Time is something that we create when we keep talking about it and we keep looking into it. What if we were just more in a flow state? We were just doing what we love. That's what brings me to my first point. The first part of this process is understanding that if you're wondering how long it will take you to manifest something, it's coming from the mind and not from the heart. It's not coming from the state of being. If you focus more instead on the manifestation itself and you purse, you focus on the person you will become. What do they say? They always say the same thing. They say, “I would go and create it again, like I know how to make millions of dollars. Like I would just go do the same.” I'd go do what works and I would figure it out again. It's because they've become that kind of person. Even me with what I've been doing in my life as I have, as I have a certain focus in my life and I realized what I can do. It expands my horizons and my goal. If I could do this, then I could probably do other stuff. This is about understanding that also. Okay, so let me just kind of close that loop. The idea is to focus on the person you will become because when you focus on what you're passionate about with who you are becoming, that's when everything begins to change. That's one time. Doesn't really matter as much as I'd like to be traveling the world and doing these big old seminars and all that stuff. I know it's going to eventually happen. I'm just going through the process right now of building a foundation before I move into that and the next like six months or so. I have a certain process to it, but I'm not like, I need to be over there. It's taken so much time. I'm like, no, I'm enjoying the day to day basis stuff. I'm enjoying the what I'm doing right now. We are skipping a whole bunch of stuff along the way that can be very enjoyable. You see, life is like a journey. Imagine this is like a journey. This is life now. Normally we're like, we want to get here, want to get here, want to get here, but if we just want to get here, then guess what? We are skipping a whole bunch of stuff along the way that can actually be very enjoyable. It's like if you were going out, what's that Alan Watts quote? It's like you're going to a music to watch an orchestra and you're listening to this beautiful music and you're like, just get to the end, get to the climax, get to the end. It's like, well, I'm going to watch a good movie, and you're like, just get to the end. Just watch the whole movie. Enjoyed the story. Enjoy the process. Just like your life. Enjoy the process. How long will it take? The more you worry about the time, the more of the experience of time you will create. The more time you focus on, the more you create it. That's why everything I'm sharing with you today, it's about looking at it a little bit differently so that you changed the question itself so that paradoxically like I still want to get you to that end result, I still want you to create the less of the experience of time, but you create less time. When you enjoy the moment, you create less time. When you are immersed in the process, you create less time. When you were more focused on what and who you are that focused on the future, the future potentiality of who you may be one day. So, this is a journey. Now, let me ask you another question on these questions today. When you ask yourself, you can get in alignment to your beliefs for how long things will take for you by asking yourself certain questions. For example, do I believe that within this period of time, do I believe within a year I'm going to be traveling the world to be giving big seminars? I could see if there's a yes or no answer as much as possible, but maybe it's like I don't know, I'm not sure about that, which means normally know so that I can say, okay, within eight months, how about within six months? So, if I said six months and I was like, Eh, maybe, maybe not. Um, I think that it's most likely going to happen in like six to eight months. You see, by asking myself the question, I can see where I feel comfortable under my current belief system. So, you could say to yourself, maybe if you're working a nine to five job you don't really care for right now, and you're like, okay, I want to do my passion for living. My passion is making art. Do I think I can go full time in the next, let's say year? Yes. I think for sure in the next year I can make that happen. Okay. That means your beliefs are in alignment with that. Then you can say, okay, do I think I could do it in nine months? You said, yeah, I think I could do it nine months. Do you think that you could do it in six months? You see you start to develop this resistance around it like I don't. I don't know if I could do in three months. I know probably six months I could do it. That's when you found the barrier of where your belief is on how long you think it will take. So, this is how you tap into the subconscious mind and are able to see how long your beliefs think. It will take you, how long under your current belief system will take you, but then what you could do is you could change those beliefs because those beliefs are not set. They're just an inner guidance of where you currently are. What you could do is you could look at it from a little bit different perspective and you could find people that have done it in a shorter amount of time. You can find people that have already accomplished that and then study them and you see, oh, somebody didn't in two months. Oh, more awareness is power. If I would've known what I know about the online YouTube and all of this stuff back a year ago when I was at a nine to five job selling woman's shoes back in February, 2017, it I didn't go full-time to August. I could have gone full-time in probably June may, but I didn't know all of this stuff about online. I didn't know about the back end of a business. I didn't know that I could just coach like 10, 12 people and that would be plenty of a full-time income. But I thought it was like this long process as I was like, oh, and you're on YouTube. You got to have 100,000 subscribers. Didn't you go full time? But it doesn't work like that. It's more of the awareness of how things work and then you figure it out. The reason I'm telling you all of this stuff is because the beliefs will go into this process, you understand what you believe to be true. The other part of this process is understanding that that time doesn't even exist anyways. Time is something we create from a point of experience, but the only moment that exists is this moment right now, so if you're asking the question, how long will it take in the question itself of how long it will take? It's creating more of that time. So, my encouragement to you is to focus more on the passion for what you are currently doing. Focus on the kind of person you will become. All of this stuff will happen easier anyways. The focus is the person who will become the passion, but I'm getting you to the same end result. As you experiencing things in a much more blissful state and things appearing to go by faster because you are enjoying the moment. I guess my main attention is to help you enjoy the moment more and understand that life is a journey. Like think about this. What if just what if this is, let's get a little deeper. Let's go down the rabbit hole. Let's look at things a little bit deeper. What if in higher dimensional states of consciousness, right? We've seen that power versus force book that I always show with the different levels of consciousness was that what if in a higher realm of consciousness, we're able to manifest things instantly we think it is there. What if that's normally the case, but what we do that's more of a higher dimensional state of consciousness? Probably when we go to bed at night, we're more awake to those states. That's why in your dreams you make instant thing. Things may happen. Now, what if when we come into this life, which is more of what we could call it, the three, four, four d life experience, when we come here, we agree that things are going to happen a little bit slower. Things aren't going to happen as fast here. We want to really think and feel and focus to then see things manifest rather than have it come immediately because there's a little bit more of an enjoyment in the process. There's a little bit more to learn when there's a little bit more of a gap between here because the thing about it with how many people think if they were to instantly manifest what they want, there'll be a lot of random stuff in the world. There'll be a lot of stuff just everywhere, and it would almost be like we'd have to focus on decreasing the things that we created. That makes sense because there'd be so much stuff with everything instantly happened. So, in our reality, what I believe we've done is we've agreed to certain rule sets. One of the rule sets was were first off for a mortal spiritual being living some temporary human experiences. We choose to come here for a learning lesson. Life is a form of dream, a very long consistent dream, but nonetheless a dream and in a high, I believe in a higher reality. We're dreaming that we're here right now and that when we die at the end of this life, we wake up in a higher level of perception. But nonetheless, one of the rule sets here was that things were going to be something we had the ability to really to really, to really finesse, to really see how the process goes, to feel through it, and to then to create in that way so things don't happen instantaneously, but they can and they can happen faster. That's why it's about getting present to the moment. When you get present to the moment your vibration increases and then things happen even easier. That's why a lot of people are going through this expansion of consciousness because the more awareness you have, the easier it is to experience what you want in your life. The more awareness you have, the easier it is to experience what you want in your life. So, the crazy thing is, is that from this deeper level of perception, from a deeper level of consciousness, we may be right now in this moment sleeping in a higher dimensional realm of consciousness, dreaming that this is me, this is me, Aaron, onto YouTube, and this is everyone else that may be watching and this is who we are, but at a fundamental level, we are so much more and I believe that when I die in this life, I'm awake up at a higher level of perception. That's just the feeling I get. That's just my sense of the process. Who knows? Could be way off. Nonetheless, I'm just giving you these kinds of understandings because I believe that they can be powerful and I believe the more we become present to the moment, the more we enjoy this life experience, the more that we focus on the passion, the more we focus on the kind of person that we can become, the more we focus on letting go of the beliefs that don't serve, the more that things happen anyways. With all that being said, another thing that I did is if you want to speed up time, super-duper fast, if you raise your vibration that also speeds up the time, you'll manifest things much faster. Understanding the Law of Attraction can be a bit of confusing for some, especially to those who are just starting to adopt the principle. What if there are simple ways on how you can make the Law of Attraction work for you? I'm going to share with you some of the things that I personally do and how I use these techniques and how they've changed my own life. Plus, I'm going to be sharing with you the truth on techniques. can you leave a review for the podcast? The truth is, Law of Attraction techniques work when we believe that they work. What this means is that the real power is not in a technique to work for you. The real power is already within you. The Law of Attraction techniques works when we believe that they work. It is simply we use these techniques and we give ourselves permission. We tell ourselves, oh, this works because there are many people that have done this technique and it's worked for them, so maybe it'll work for us and then we do it and maybe we get the same result, but the truth is it is as easy as we make it to be for us to shift and for us to be kind of having the kind of experiences we want. The power is within you and your own consciousness. When I talk about law of attraction techniques, understand the power is not in the technique. The power is within you and your own consciousness. It is just that sometimes techniques make it a little bit easier for us to give ourselves permission to change. Rather than going from one state of being to another, we may say, oh, I have to go do this, this and this, and then I'll get into that state of being and it may work. It may not work. It'll depend upon our beliefs and how much we put into it. This is what they call the Placebo effect and the Placebo effect works. Those can work because we believe that they work, but the true level of power is within you, and this is something I think is cool about the Law of Attraction. We can make the Law of Attraction and easier process by simply knowing that it can be an easy process. What if at the fundamental core, anything we experience in our life is about probability factors. Everything is not. Is it possible? Is it probable and things become more probable when we change our state of being, when we choose for things, we intend for things and when we give ourselves permission to be a certain way, so the power is never in that of the techniques themselves? The real power is within ourselves and into decision for us to change and in every moment the truth is in every moment we are changing. It's just that sometimes we give ourselves and we create the illusion that we're constantly changing to the same thing over and over again because we carry a similar story from this parallel reality, so this is who I am, but it's just a momentum. It's a story that we've continued to tell ourselves over and over and over and over again when we think this is who I am, therefore we create the same experience over and over and over again. Let me ask you a question. What is your story around manifestation? Does it come easily for you or do you have to try really hard for things to happen? Can you imagine yourself letting go of the hard letting go of having to try letting go of all the beliefs that say you can't have something that it is hard to change because the belief that it is hard to change is what's creating that over and over again. The truth is you are changing regardless of whether you think you are not. You're constantly changing. It's just what are you changing to? Are you changing to the illusion of the same thing over and over again? Because if so, you can change that. You can choose to change to a greater degree of change and that is a matter of knowing that the process is easy. Now, I'm going to talk about how to make that easy here in some of these techniques I'm going to be sharing with you, but what I wanted to mainly do is share with you that the true power is within you and that visualization itself. Normally we think that visualization is something that's going to make us feel. It's going to bring something to us. I'm going to visualize myself doing something for specific by imagine and visualize myself being a certain way. However, the key to visualization, most people think the key to the visualization or the secrets of visualization or how about this, they think the purpose of the visualization itself is to attract something that's out there into here. The purpose of visualization is to get us to a certain state of being. That's where everything begins to change. The truth of the matter is that the purpose of visualization is to get us to a certain state of being that in this state of being, that's where everything begins to change. The purpose of visualization is to get you to feel a certain way. And the reason we visualize is that we love the feeling the visualization can bring us not because we believe that the visualization is going to bring and attract something that's outside of our life now into our life experience. I know this kind of switches around in our mind the purpose of these things, but everything in our life is about vibration and everything in our life is about resonance. When we focus more on the state of being, that's where things began to change. But when we know that we are already whole and complete, that anything we visualize is because we feel better while we're visualizing it and in the vibration that we feel why we visualize it. That is the power, that is the magic in. That is what we want to create more of. With that being said, let's get into the first technique I'll be sharing with you. The first technique is a technique that I actually learned from a book called the Feeling is The Secret by Neville Goddard. It is an amazing book. It's about 60 pages long. You can read in about 20, 30 minutes. Actually, I don't know. It depends on how fast you can read, but basically what the book states is that the feeling is the secret and what the book goes on to say is that for many people what they're missing is they're just remaining in their head. But when you get it and put it, make Law of Attraction more about the feeling, you start to really tap into a powerful part of resonance. Now, what we can begin to do, and this is how I'm going to relate this one, is this as a sleep technique that I use, and this sleep technique is something that you want to do about 20 to 30 minutes before you go to bed or as you're falling asleep every night. Now, the reason this is that when you go to bed at night, you are shifting your brainwave states, you are shifting from more of an Alpha Beta state, which is the awake state, into more of the Theta state, an Alpha Theta state. A Theta state is the deepest levels of the sub, the deepest level, the subconscious mind, maybe gamma data, but the data or the Delta state, but the data state is the part of the state of consciousness really influences the subconscious mind in a powerful way. Normally we're trying to attract things into our life by using our conscious mind, which means we're trying to attract things into our life using our Alpha Beta states of consciousness which barely penetrates the subconscious mind. Now our subconscious mind runs most of our life experience over 90 percent of it, some even say 98 percent of it, and because of that, in order for us to really create powerful change, we must first have into the subconscious mind, and we can do that by getting into a theta state. Now, whatever emotion you feel as you're going to bed at night, you are influencing your subconscious mind as you fall asleep at night and if you were to put your focus on something you want to experience in your life and on the kind of person you have become than what you do is you start to imagine what you would feel, the kind of emotions you have, the kind of body language you'd have if you were this best version of you. You imagine this and as they're going to bed at night, you start to wire this into your self-image and into your subconscious mind. This is something that is done with repetition. I have found that this is one of the most powerful techniques. I've been doing it for years and what I do is I imagine the best version of me. I imagine it as if I'm looking through my own eyes and what I do is as I do that, I imagine the feelings I would be feeling. I imagine the body language I'd have and I imagine that that is who I am now and what I then do is as I'm falling asleep at night, here's a trick I put my hands over my heart and I feel that sensation through my heart and I focus on that feeling as long as I can normally until I fall asleep. Now, I have found that this alone, like I said, is one of the most powerful manifestation process I found. Once again, the powers within us to make the shift. However, there are certain ways we can hack our subconscious mind and that is one way that we can hack our subconscious mind. Do this meditation or this process of visualizing as you're going to bed at night. Put your hands over your heart. Focus on your heart center. when we create from our hearts were creating from a much more powerful place. So, this is the sleep technique that I use every single day and it's one that I think that if you start to apply, can powerfully change your life, but remember the powers within you. I believe it is one of the most powerful manifestation processes I've ever found. That is because it brings in eastern philosophy on understanding how to let go of the outcome and it more explains this paradox of letting go with the law of attraction and how to have the right energy balanced towards things. We usually think that we need to really desire things and desire can sometimes cause action. It can also cause us to move to a certain state of being. But many times, desire actually says when we say, I really, really want something. We're also vibrationally. Reality transurfing is a way for us to more easily attract what we want by realizing that in parallel realities, the reality we want to experience already exists in the present moment because quantum physics shows us that every reality we can't imagine already exists, so we do not have to create our own reality. We simply have to choose it because it already exists. In reality transurfing will show you exactly how to choose it. Now, reality transurfing and as I said, is the most powerful manifestation process I found, and within that there is a process or a technique called Reality Amalgam. Reality Amalgam is in reality transurfing terms a reality. Amalgam is almost like that tint of gold that we put into the mirror we put into our daily lives. Now, a way to apply this is to have a general belief, a general belief that is so general that you can easily believe it. Now for me, this is something like things are always happening for me. You can think of this almost like an affirmation, but I also visualize and know that things are always happening for me. I'm always in the right place at the right time. I'm a lucky person. Things are always coming to me when I say these very general things, it's almost hard to have resistance towards because it's so general that things in my life start to happen in this way. What I encourage you to do is to find your own reality. Amalgam. If you want to know more about how to set an amalgam, I have something called the Reality Transurfing Academy, which is a month to month academy where you get live coaching from me. The slide technique is that of a technique that has to do with understanding almost like a frame in reality. Imagine that there's an infinite number of parallel realities that exist, that we are constantly shifting through different frames of reality. Now, imagine that you are able to imagine the best version of you, exactly what you'd be doing, how you would be acting, and you can see yourself and how you would be in this reality using your imagination. Understand that as I said before, you do not have to create it because it already exists. It's more about embodying that version of you now. What a slide is a one frame of reality that represents that reality that you would desire to be in. Maybe this reality is you being in a certain type of a situation for me, I'll tell you my slide. My slide is me traveling the world and I look out at an audience in front of me of thousands of people that want to hear me speak, that are excited to be there, that I'm able to help them transform their lives with what I say. That after that I network with high-level individuals that are in my niche. We go out to amazing restaurants, we have a great time. Uh, I'd say in amazing hotels. I get to live and do whatever I want and I get to film videos while I do it. That's my slide. Now, when you imagine your slide, you do it and you imagine it as if you're looking through your own eyes as if you were seeing what you would see in that reality because that reality already exists. So, in a way you are shifting your focus and sliding it to the version of you to see what they would be thinking, how would they be feeling what they'd be doing, all of those things and you imagine this slide now, what I do is this slide I imagine four or five times a day and I focus on my heart center in this process because the other part of reality transurfing is understanding that we must be connected to our heart because our heart is what threads all of this together. That is what I have in one of the most powerful ones I've been learning and I've been applying for like the past five months now is the slide technique and it's one that a lot of people have very good results from. I've seen people that have done amazing things by applying the slide technique. People that have shifted and attracted a person into their life. People that have acquired a lot of money through doing this because they view themselves as having that kind of money using their slide. I have meditations as well in the Reality Transurfing Academy that helped this process on that help you to feel the emotion of whatever that is. The fourth one I want to share with you is simply a parallel reality meditation. Now I put a video on YouTube that is a parallel reality meditation that I put out maybe a month ago and since this last month it's got about two or 300,000 views. It I have people every single day that messaged me in DMS on Instagram that say that that meditation changes their life. They really feel like they've shifted and it's the one that I really think is one of the best meditations I've made. Basically, what the meditation does is it uses visualization to help you to shift to the reality that you want and what it will do is it helps you also give yourself permission to be a certain way, permission to know that you can drop your story and you can be who you prefer to be and how you prefer to be. So, this is a parallel reality meditation that uses visualization, uses a little bit of NLP and it allows you to really sink into you being the best version of you and what you do is you connect to a version of you that then energetically you start to identify as using the visualization process that I put in that video. The fifth Law of Attraction technique is actually more of a lifestyle, a way of being, and this is called segment intention. So, segment intending is where you break your day down into different segments and before every second you go into what you do is you imagine it and you set intentions for how things will happen, how you want things to happen. This is something that has transformed my life and it's something I do every single day. So, for example, let me show you how this looks. I wake up in the morning and when I wake up, that is a segment I could say, I'm getting out of bed. I'm going to meditate. And that meditation is a segment of itself. Before I go into meditation, I set an intention that I intend to have a great meditation. I tend to feel very present to the moment and to observe my thoughts. I go into my meditation for 10 or 15 minutes. Then I set the intention that I go do my affirmations and then I set my intention that those go well. I feel the emotion. I go into my affirmations, I do that. Then I set the intention that I go and I take a cold shower, that I feel enlivened with energy, that I'm then ready to film for the day and I feel amazing. Every part of your day is a segment, so for example, before you get into your car, getting into your car and drive into your job, that's a segment set the intention that you easily flow in and out of traffic. Set the intention that you feel connected to your heart space. Feel set the intention that when you talked to other people, you feel connected. Everything is a segment, and when you begin to powerfully use this, you will see things in your life change. If you set your intentions, I promise you, your life will change in a very powerful way, and it is because what you do is you increase the probability of things happening by setting intentions. If you set your intentions, your life will change in a very powerful way. So, I set intentions and almost every part of my day. It's something that as you do too, you start to develop momentum with it. You start to develop more and more power towards it because it compounds so every day you're adding our thoughts have electromagnetic power and an electromagnetic reality whether we see them or not. When we consistently do this and we consistently feel and think this way, we add onto that reality and the more we do this, the more we add onto it, so I don't have to. Every morning now I wake up and say, I intend blah, blah, blah. I just naturally find my thoughts going in that direction because those intentions are now on autopilot. So, know that the more you do this, the easier it gets, but if you set your intentions, I think it will powerfully transform your life. These five things have absolutely changed my life. Remember, the power is within you and the ability for you to apply it. I think it changed your life. Remember, the first one is the sleep technique. As you go to bed at night, simply feel the emotions of what you want. Put your hands over your heart. The second and third technique are both reality transforming techniques, the reality amalgam of put a very general belief that you begin to say to yourself over and over and over again with repetition, it will become true for you, and then the slide technique where you realize the parallel reality already exists for you to experience and that all you have to do is think of the end result and the feeling you would have and do that five or six times a day. You'll find it's a very powerful process and think you'll enjoy the process as well. And then remember the parallel reality meditation is a very powerful way that you can shift to the parallel reality you want and give yourself permission to be there now and that'll be in the show notes as well, and then the fifth one, which the segment intention, it's more of a lifestyle away for being. If you continue to do that, I think you'll find that you increase the probability of things happen in your life and everything in your life will change.